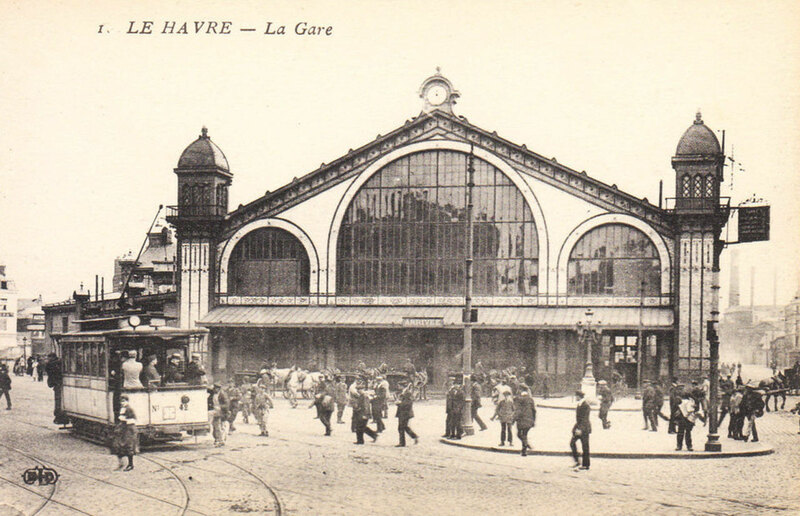 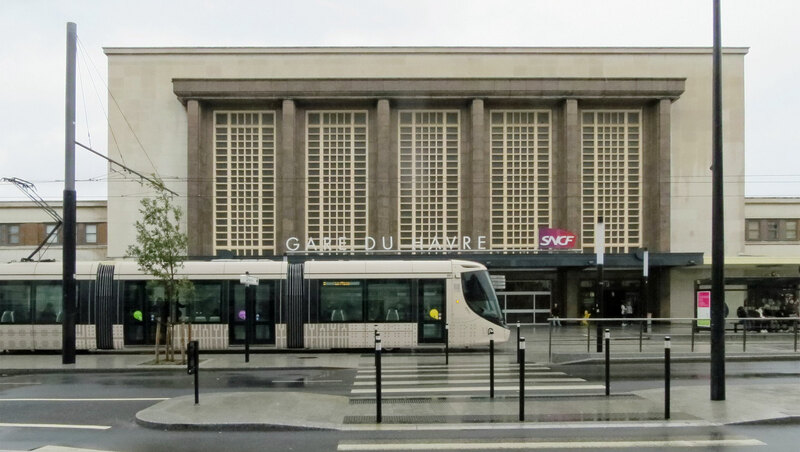 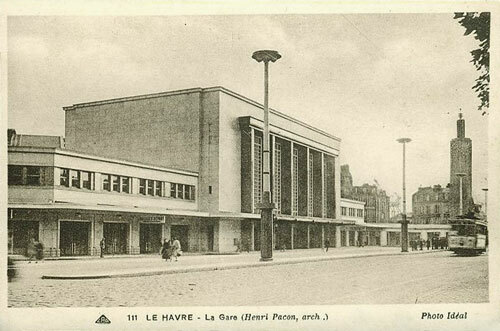 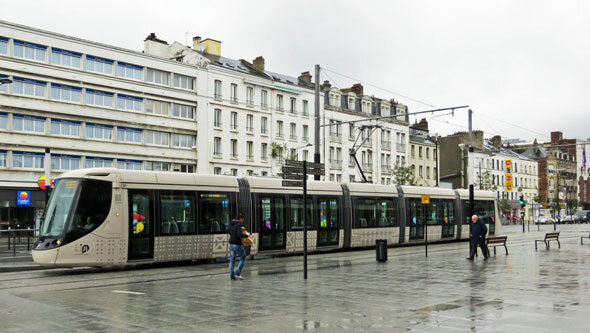 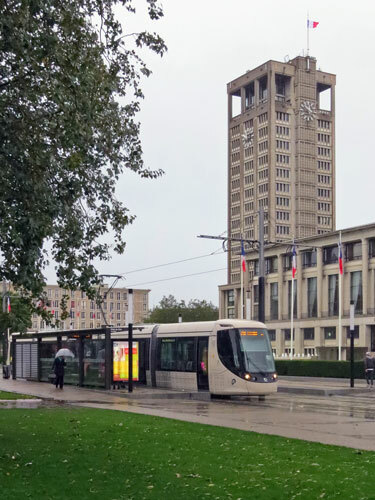 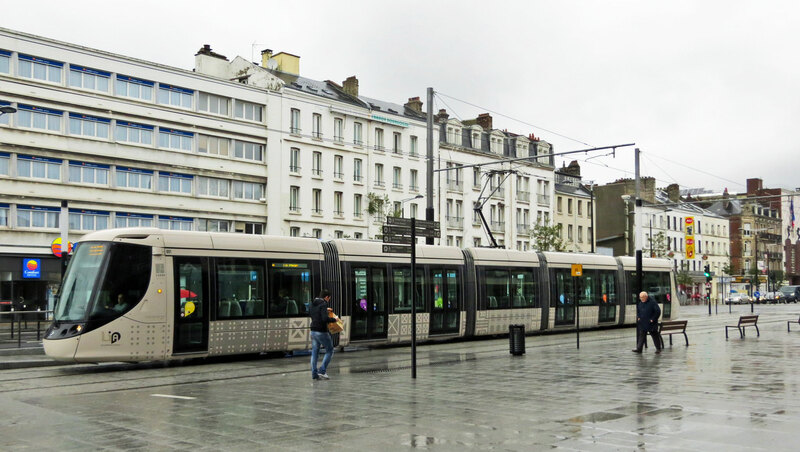 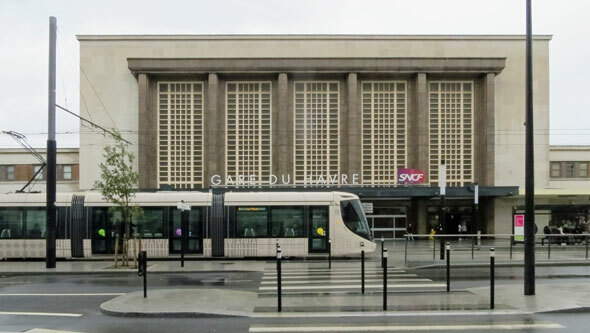 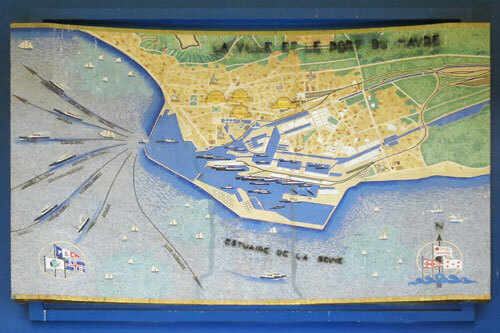 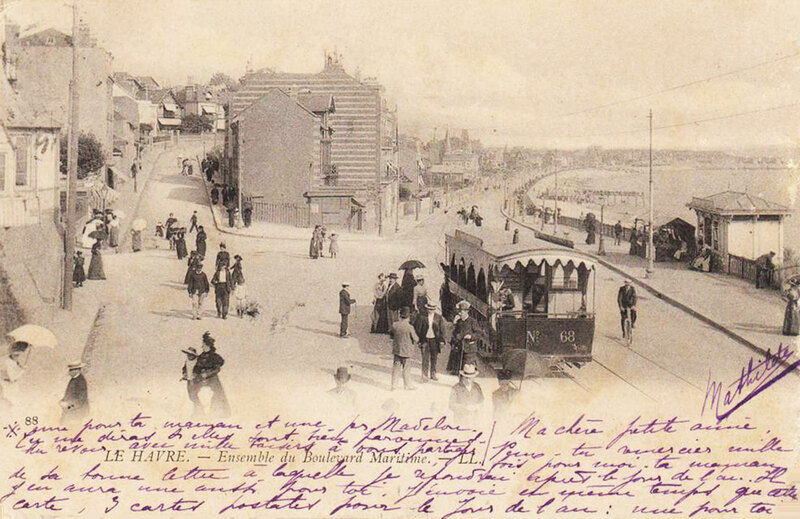 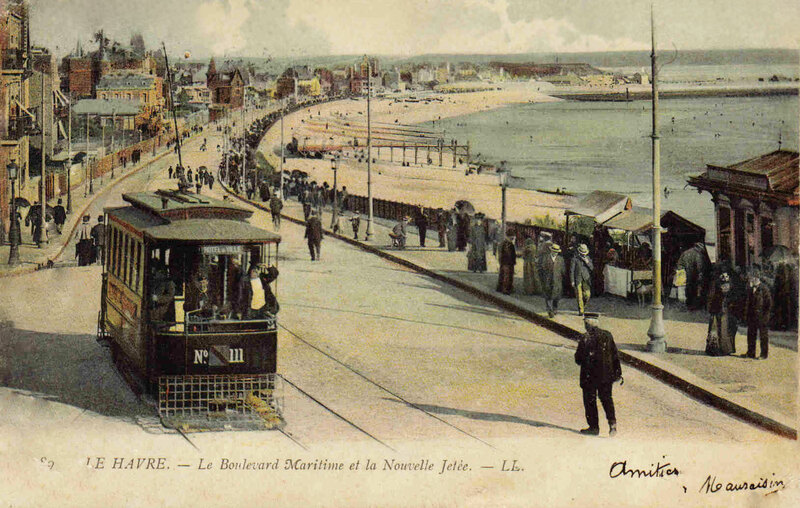 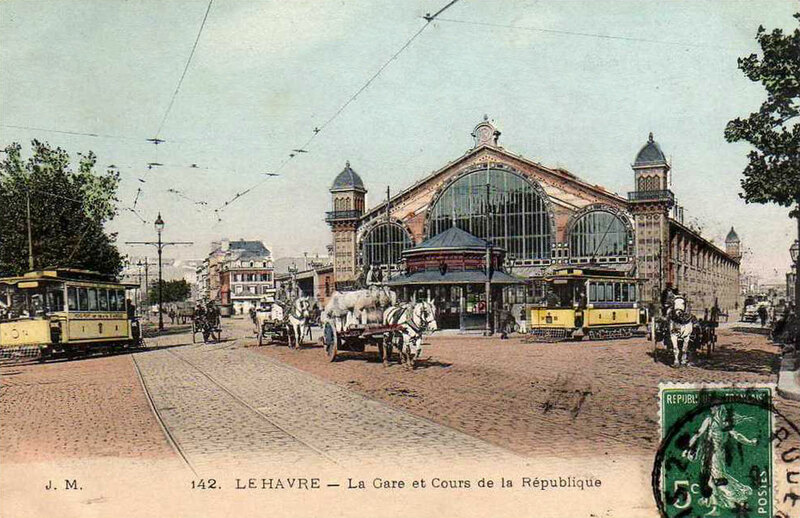 This page shows images of trams in Le Havre. 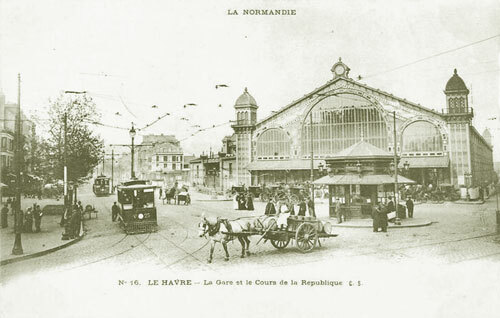 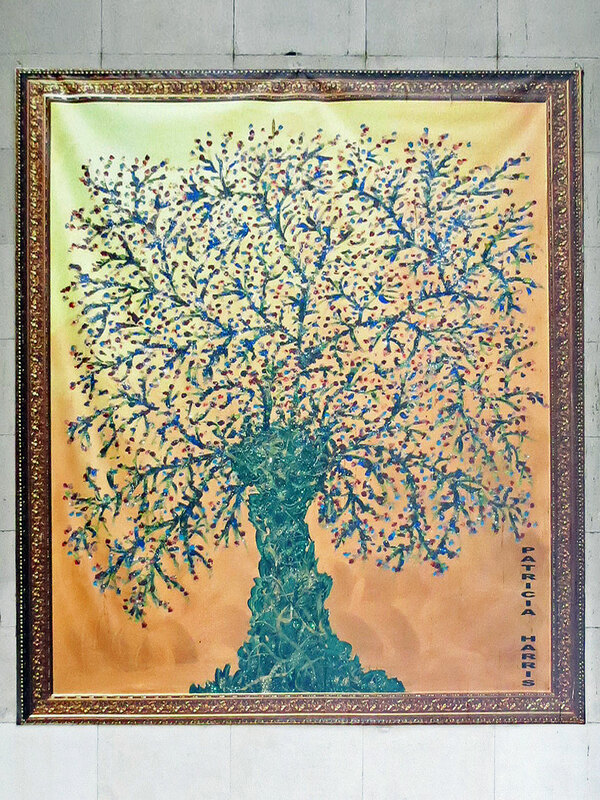 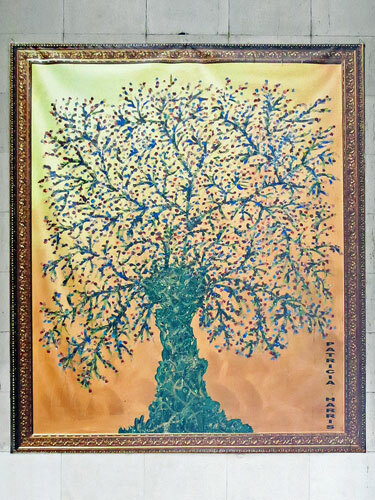 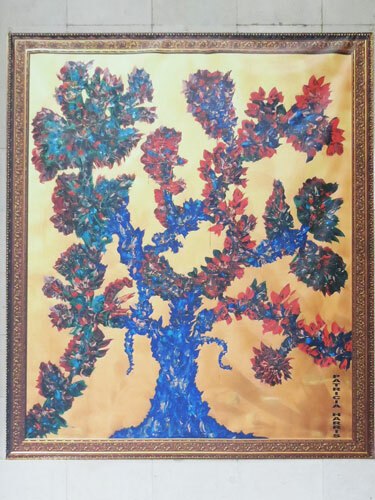 The original system ran from 1874-1947. 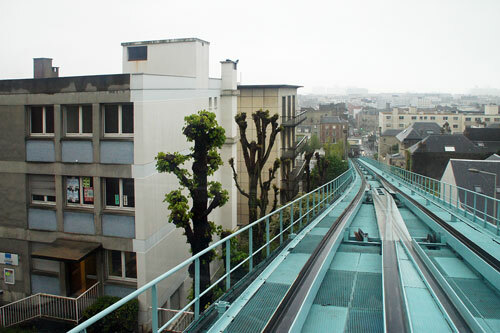 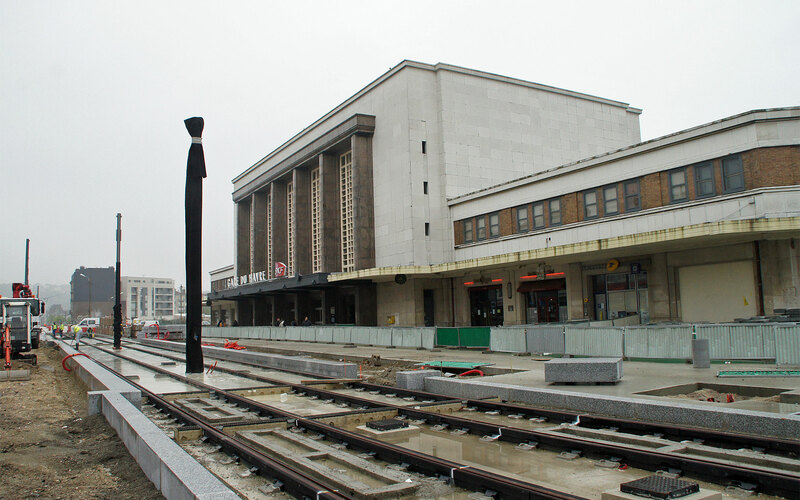 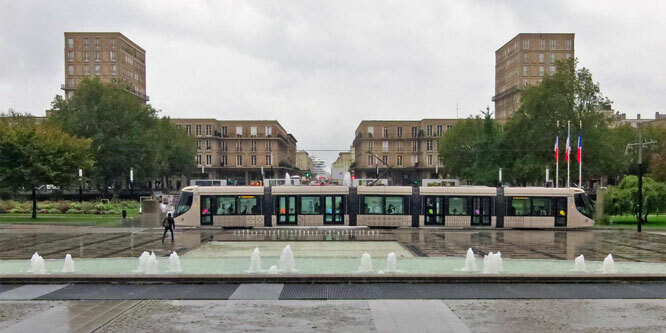 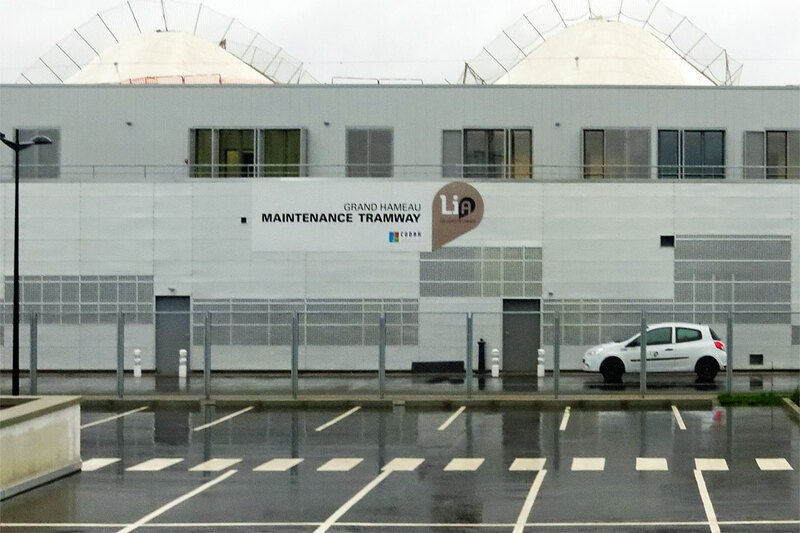 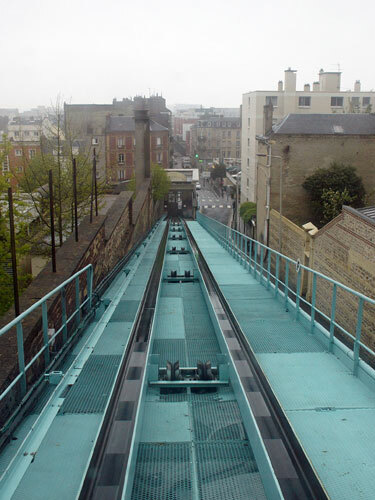 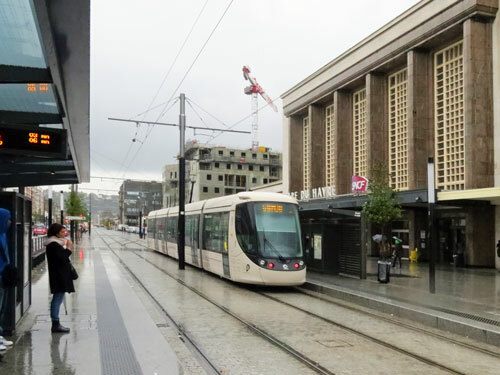 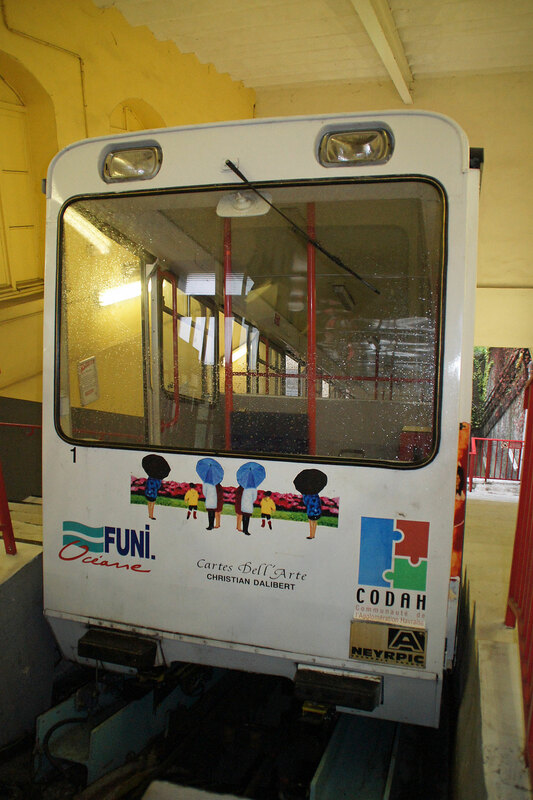 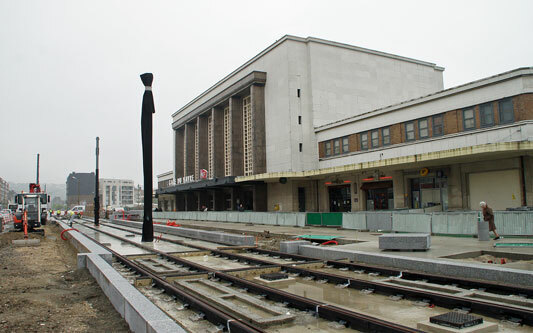 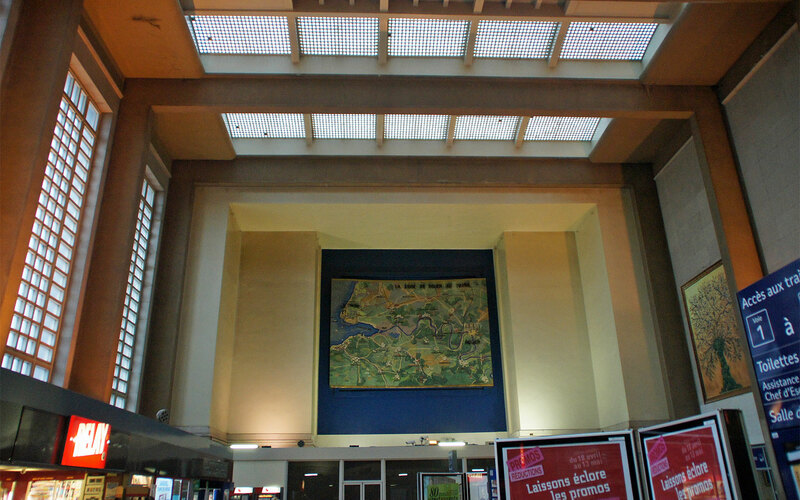 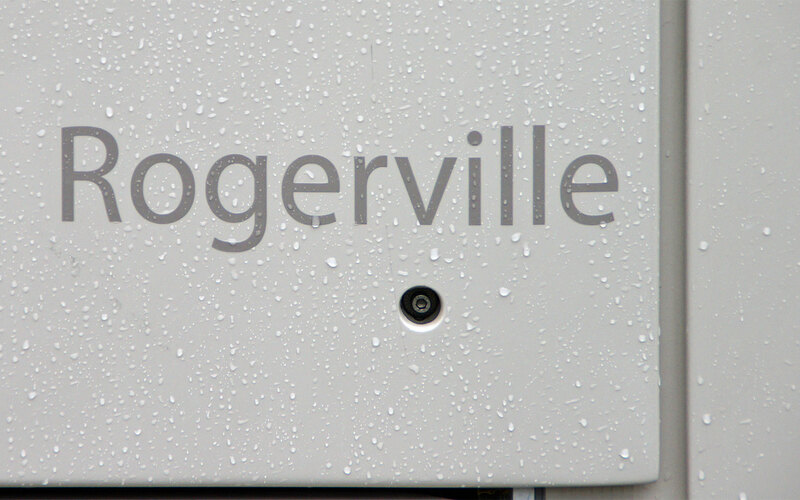 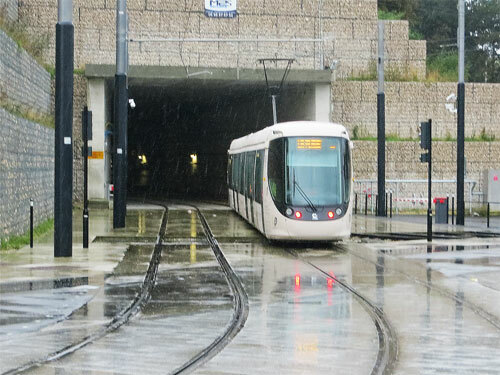 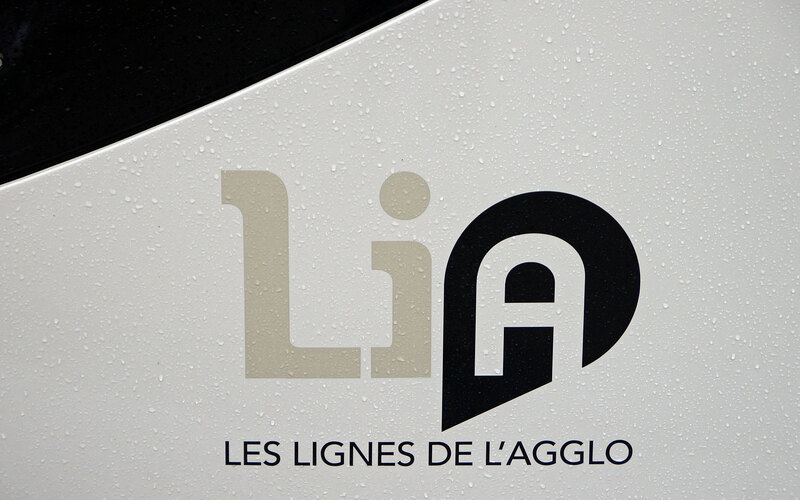 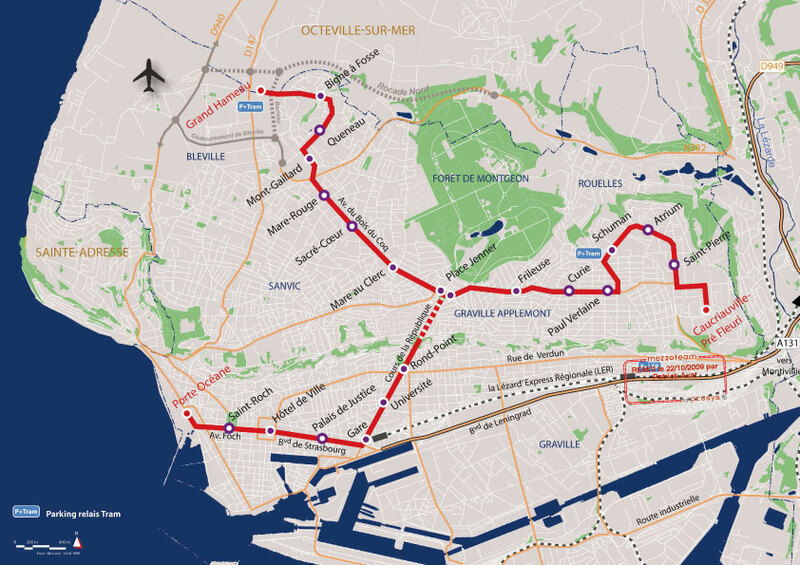 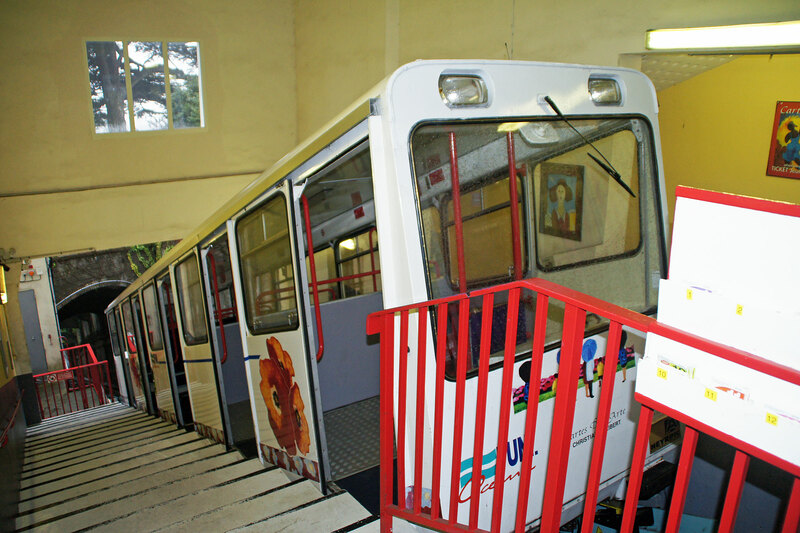 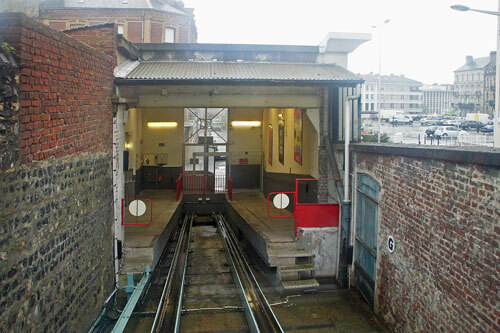 A new tramway system was opened on 12th December 2012, operated by LiA (Les Lignes D'Agglo). In 1832 a horse omnibus service began between the Musée and the Octroi de Rouen (Boulevard de Graville). By 1860, the town was served by two lines. 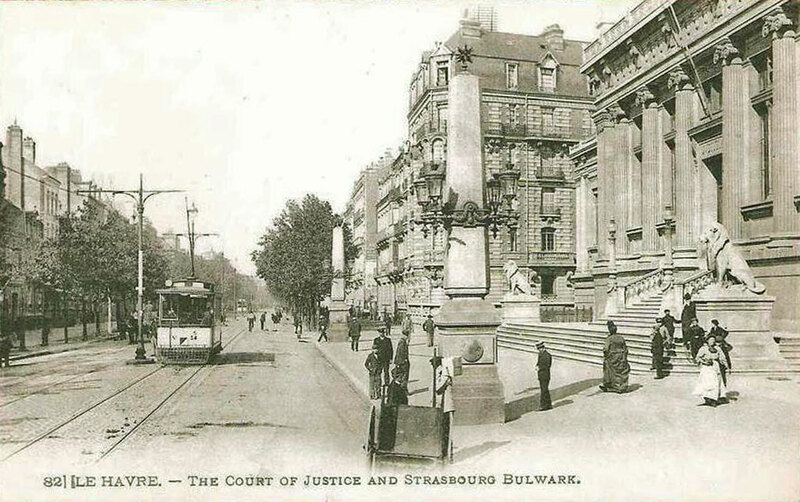 In 1872, a Belgium businessman Frédéric de la Hault presented a tramway project to the municipal council. 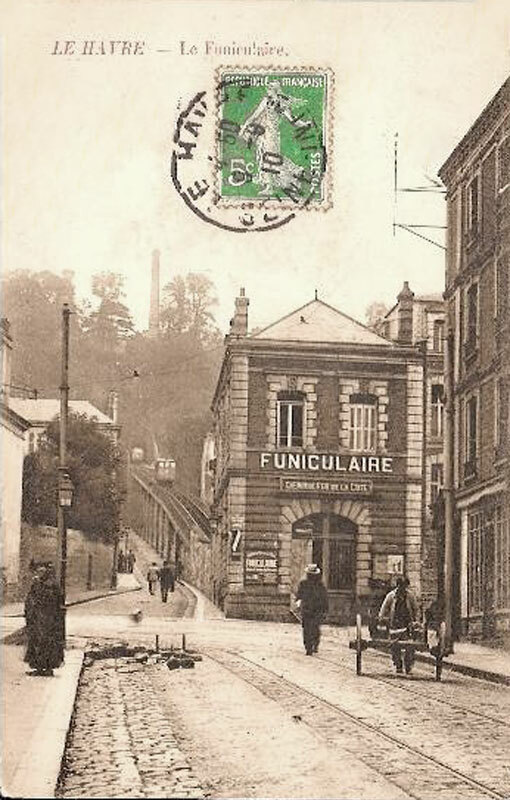 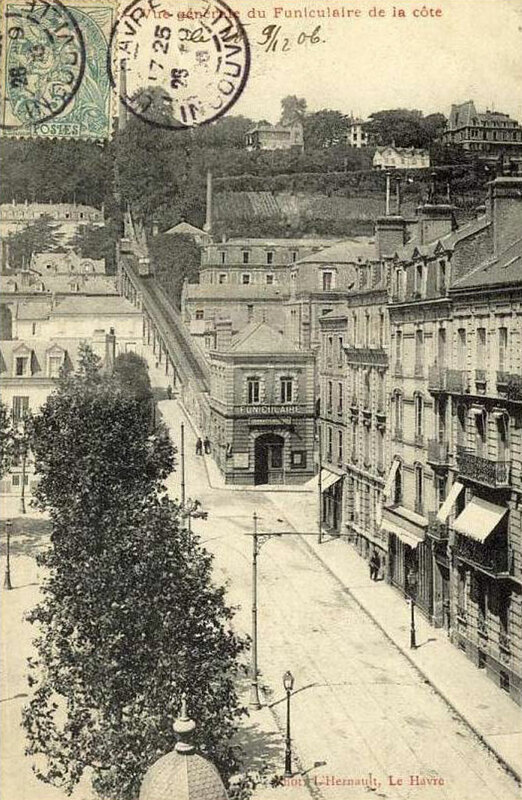 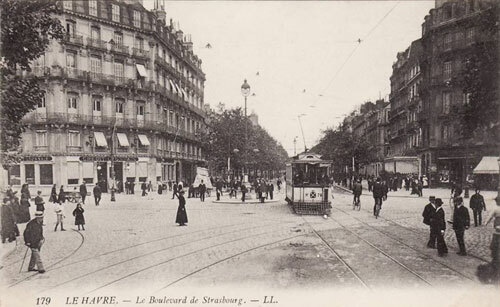 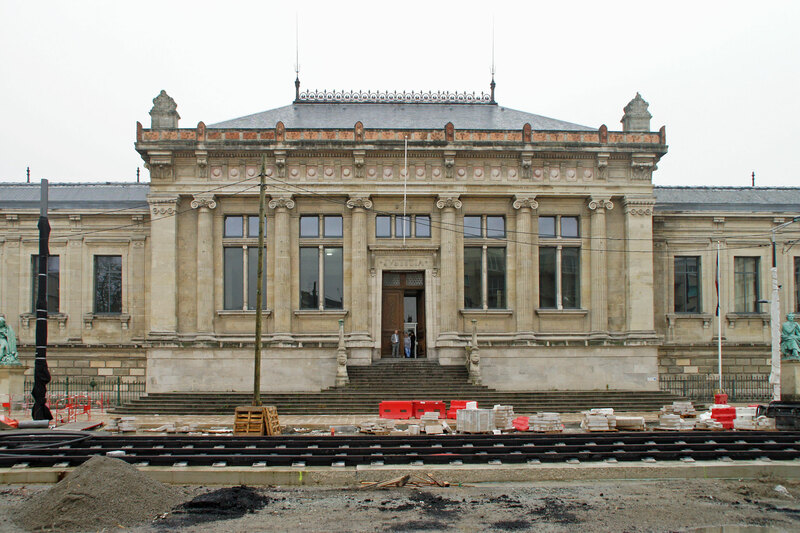 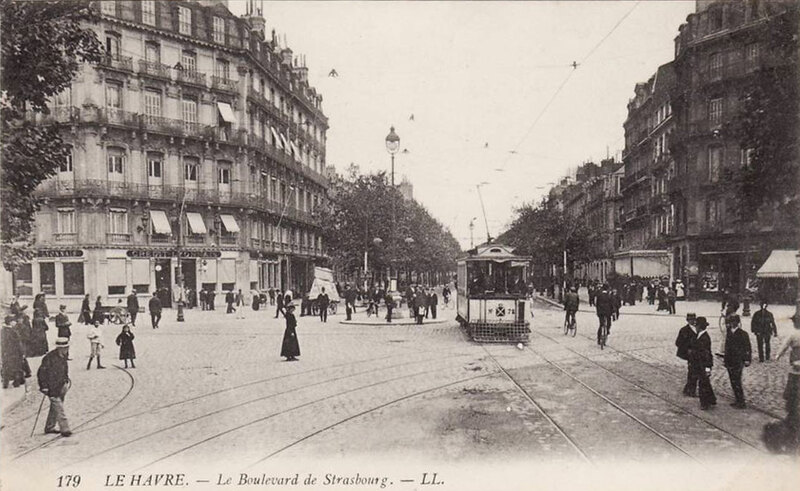 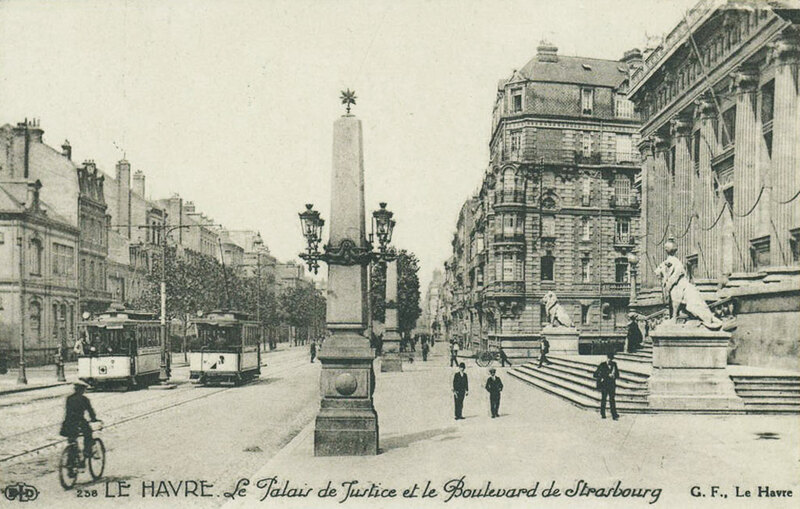 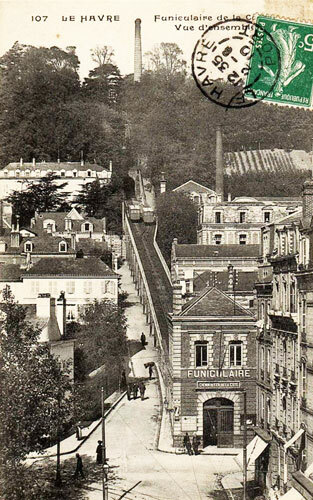 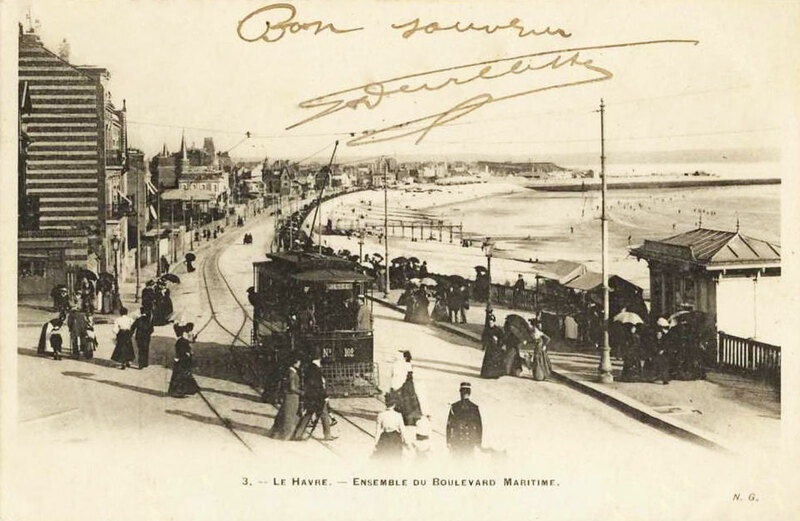 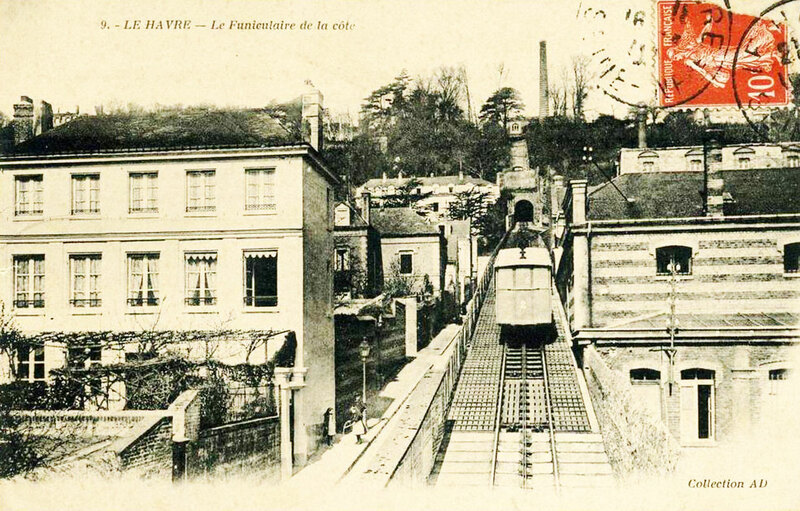 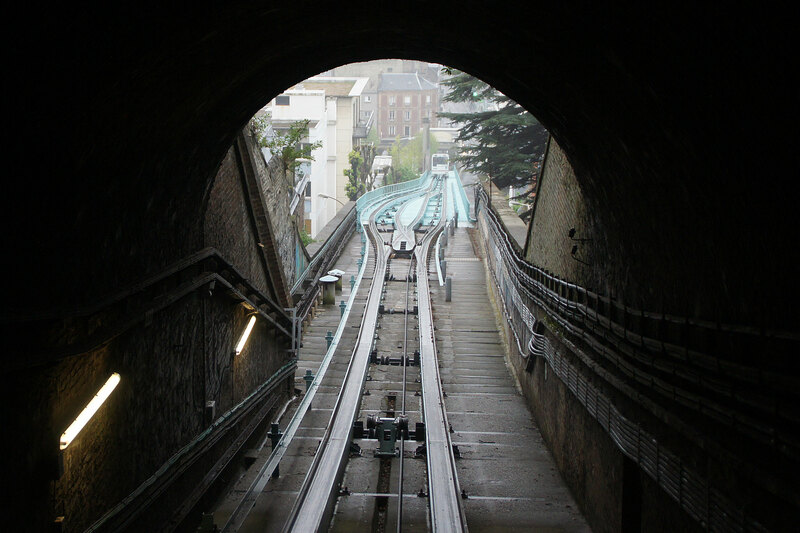 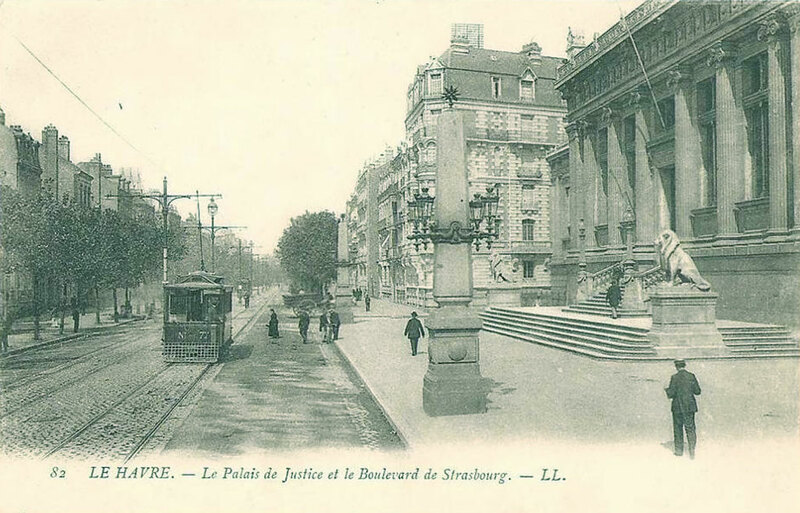 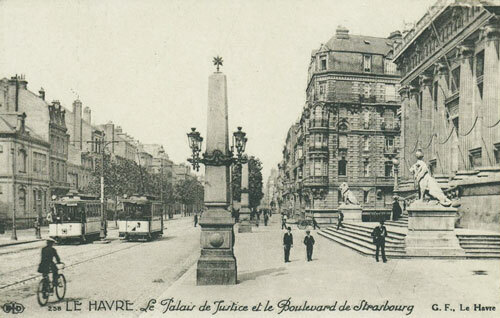 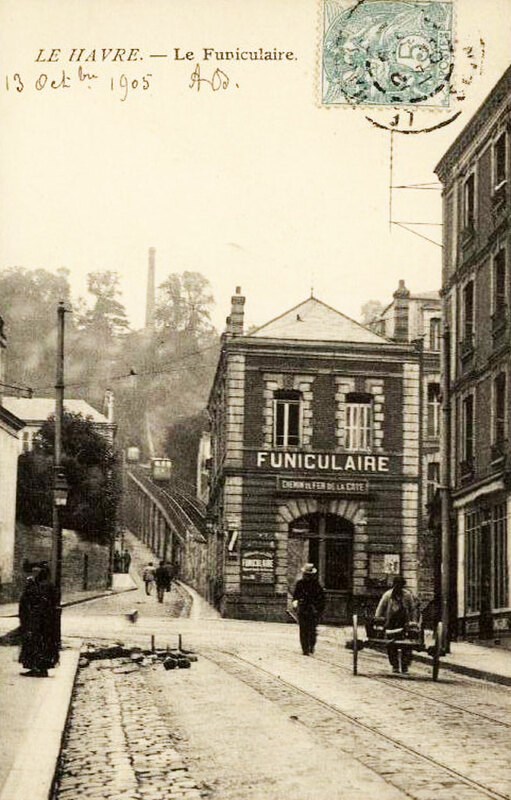 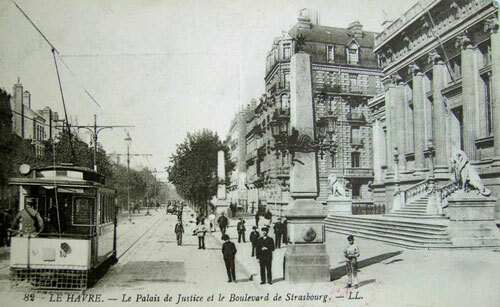 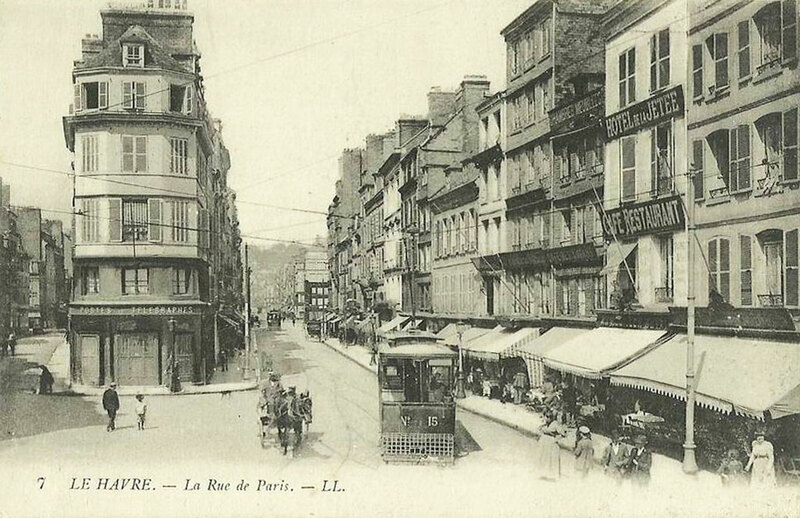 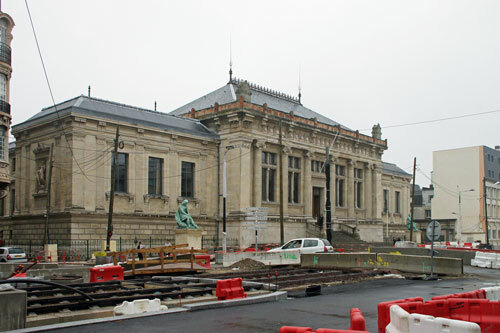 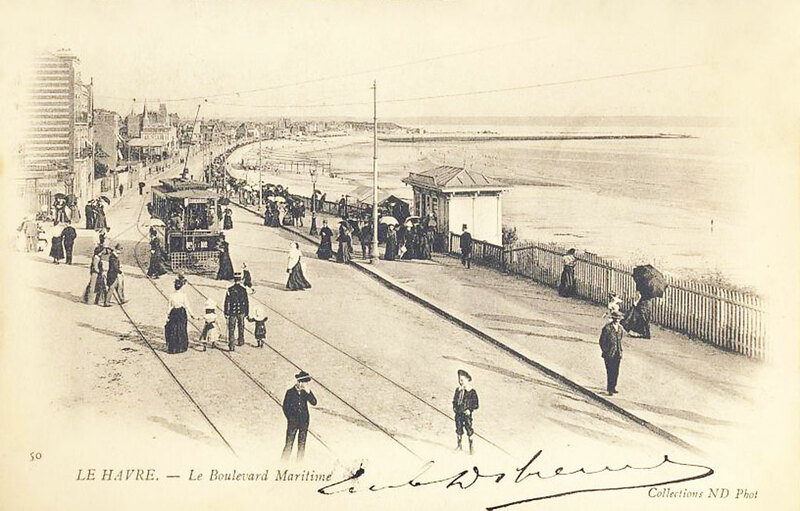 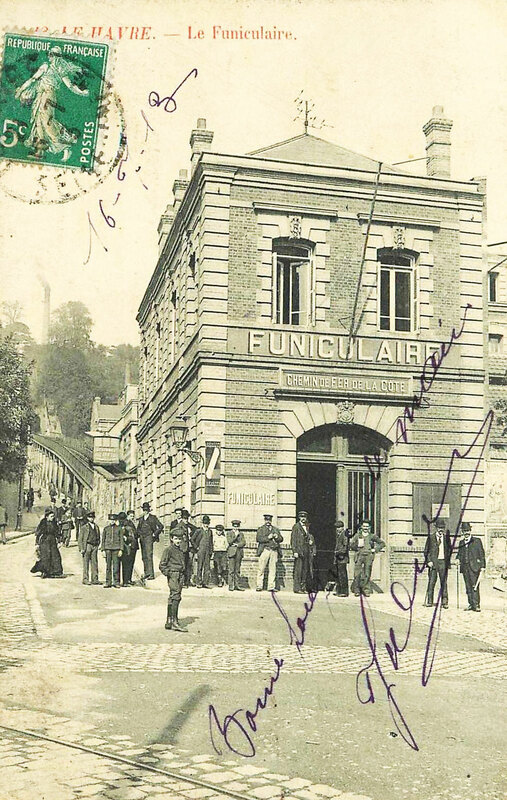 After authorisation was given, construction began with the first horse drawn tramway opening on 1 February 1874 between Musée and the Barrière d’Or (Octroi de Rouen). 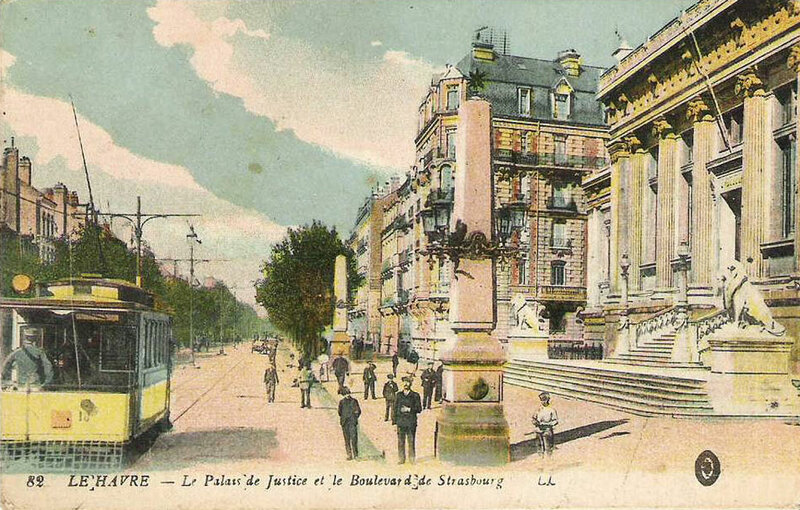 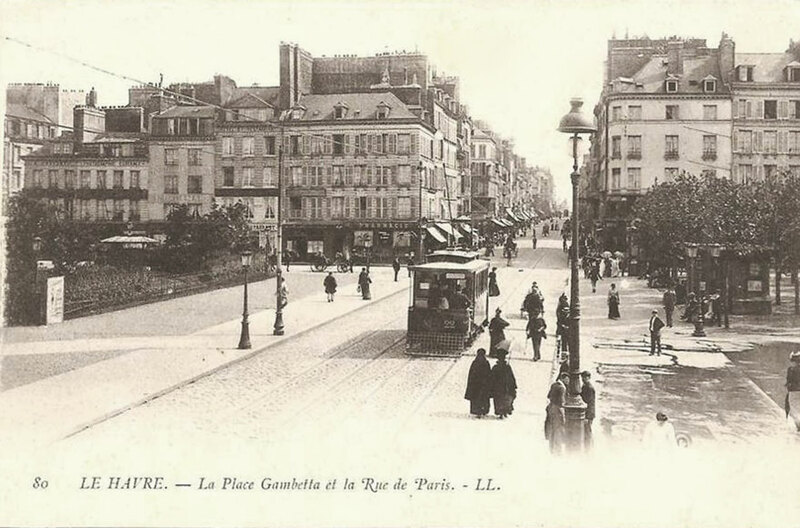 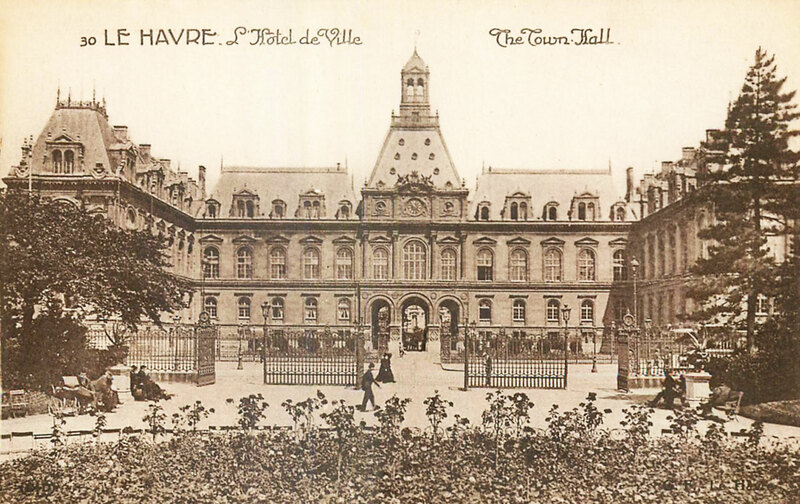 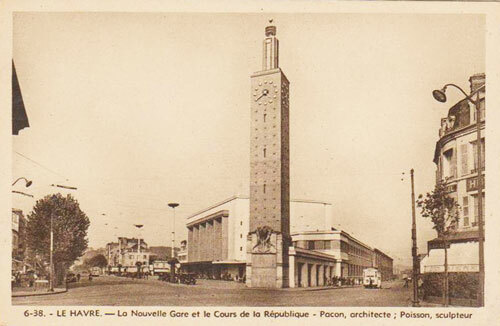 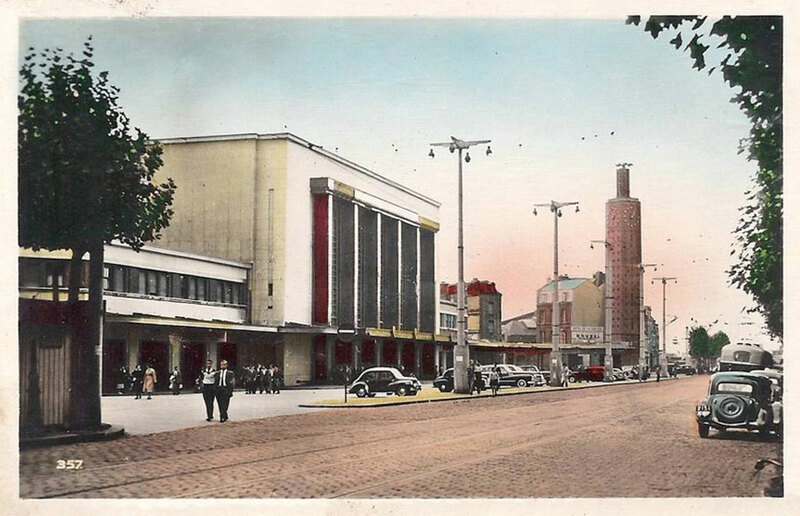 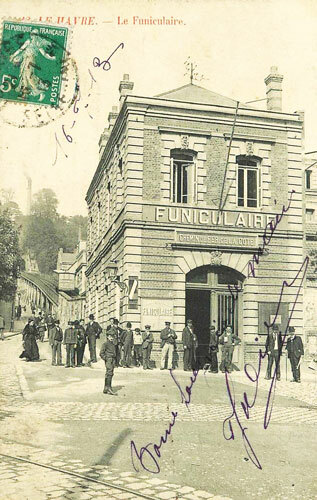 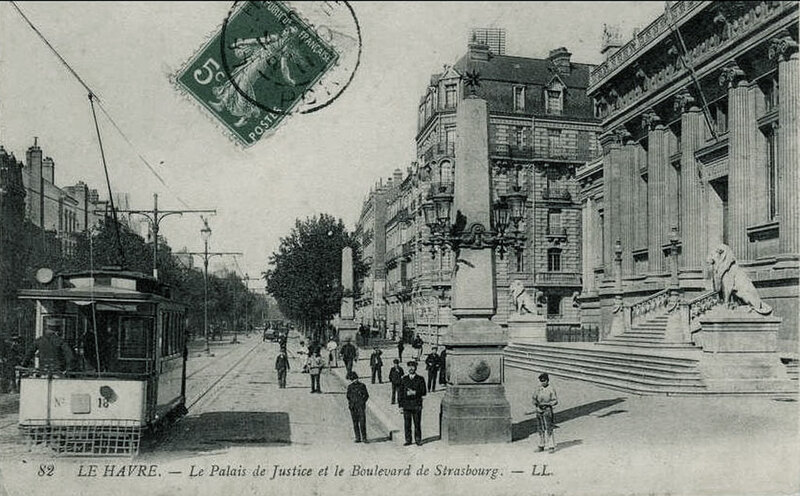 A second line opened on the 15th of the same month between the town hall and the Rond-Point. 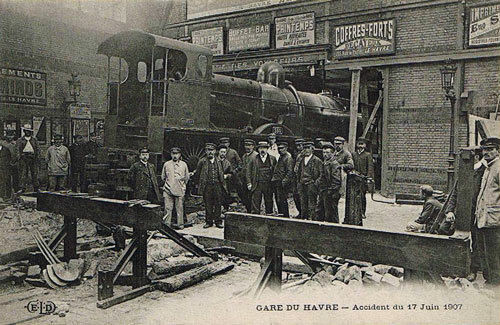 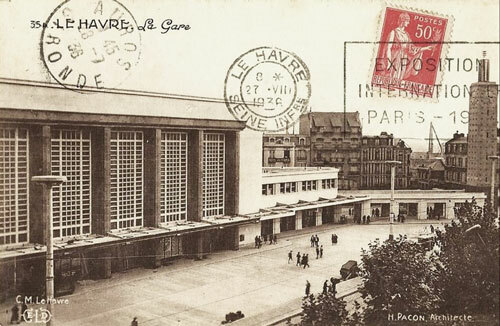 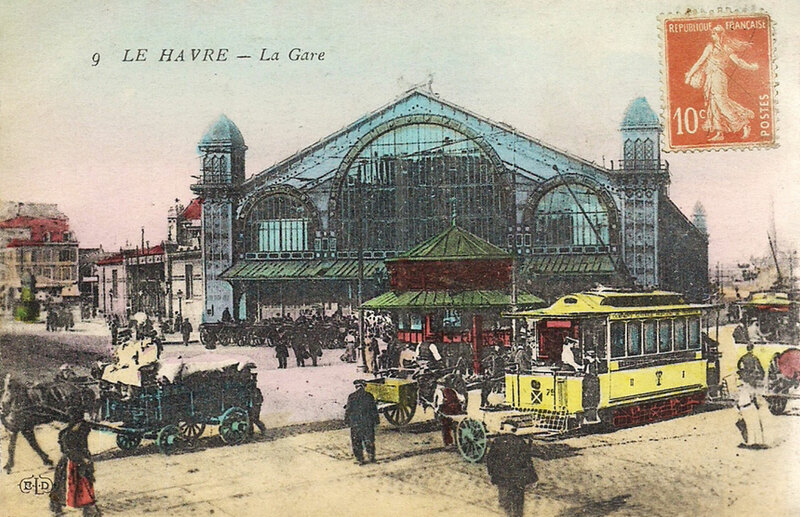 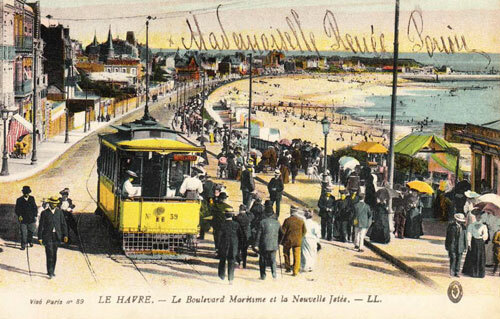 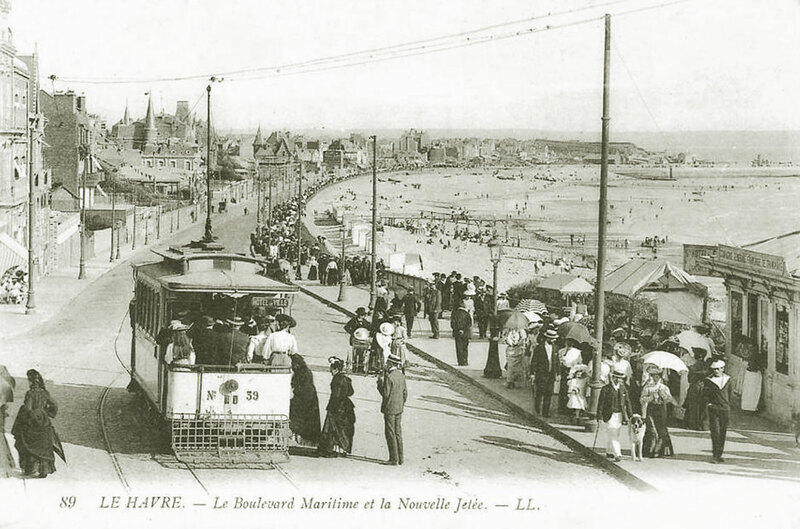 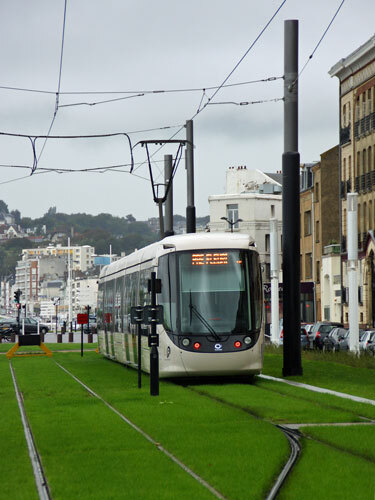 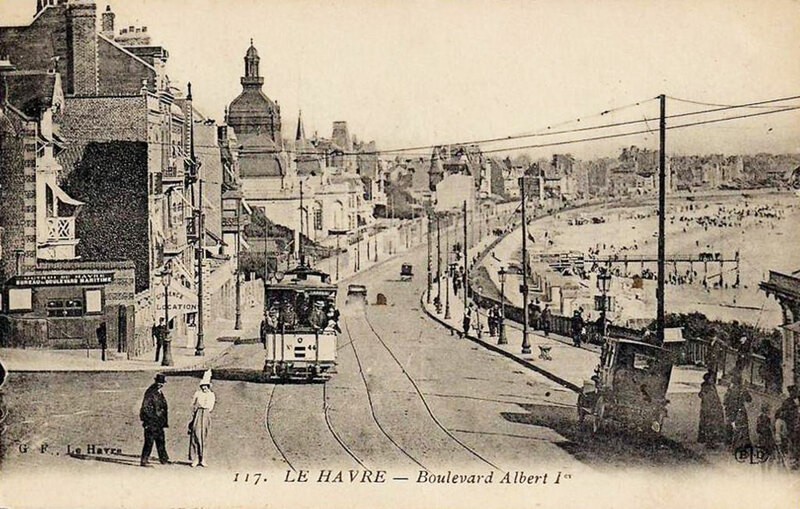 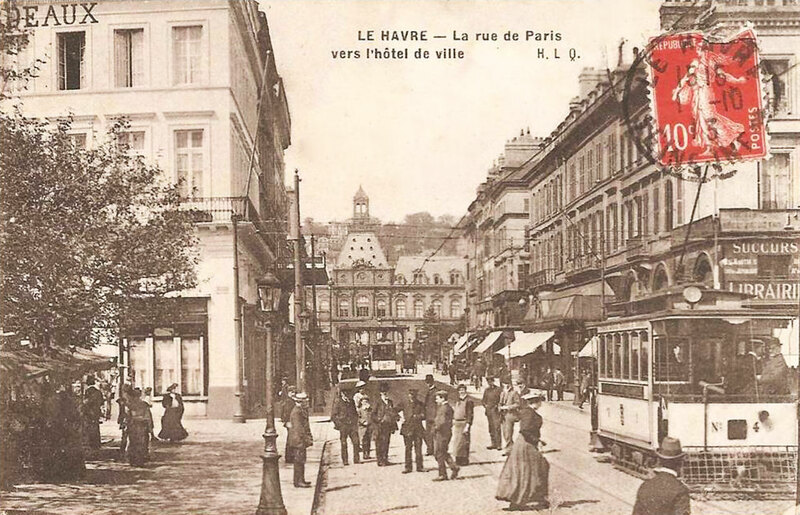 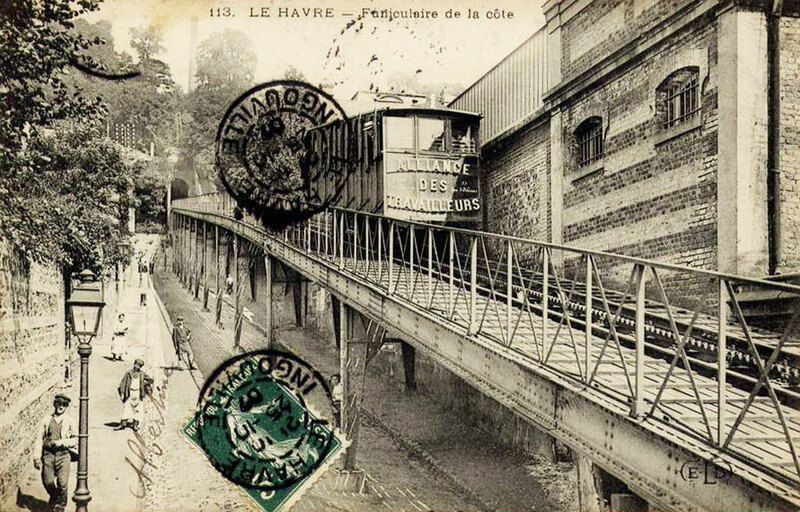 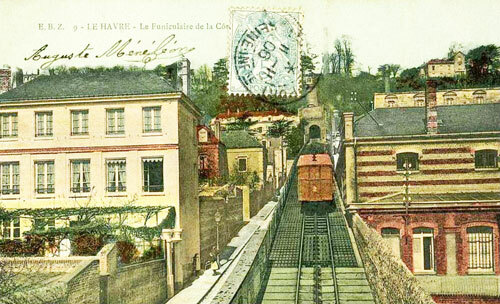 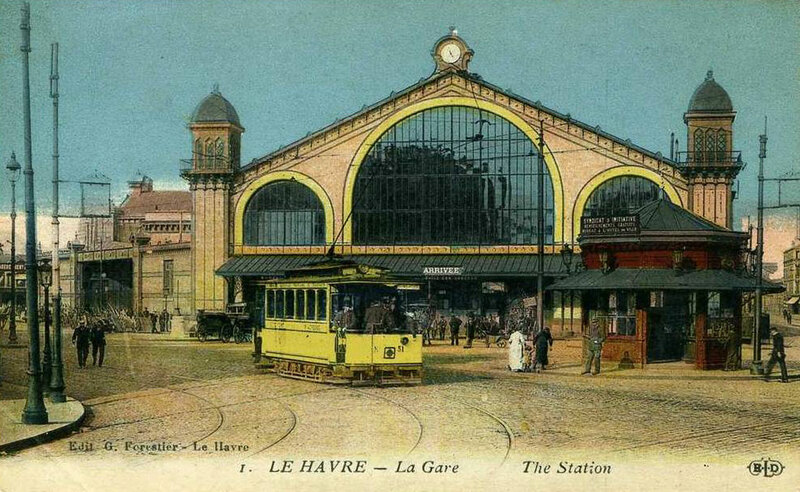 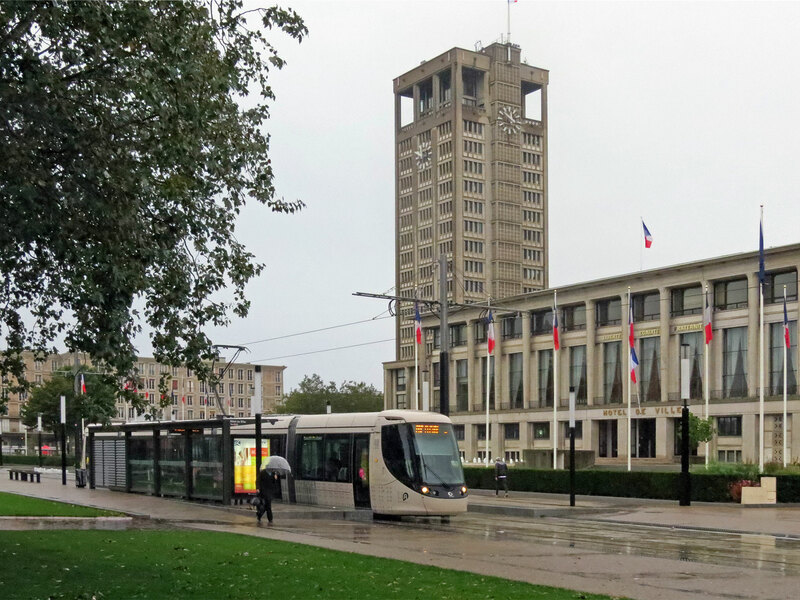 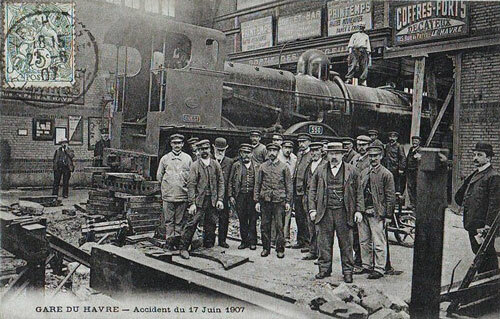 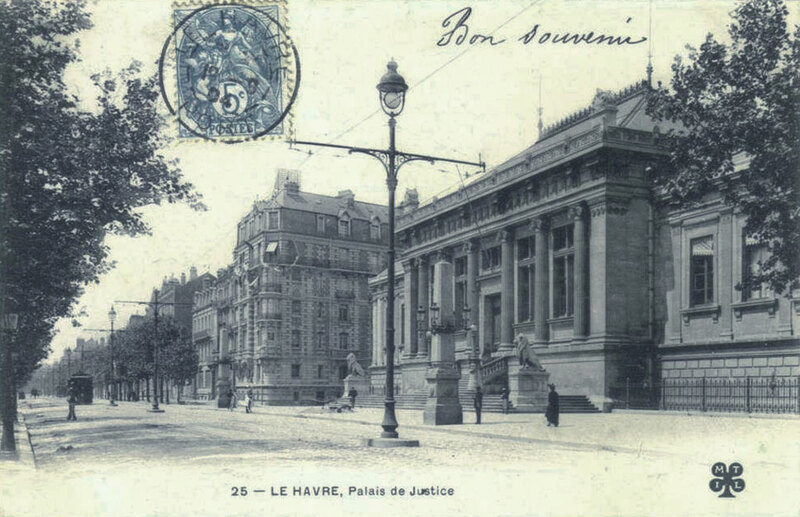 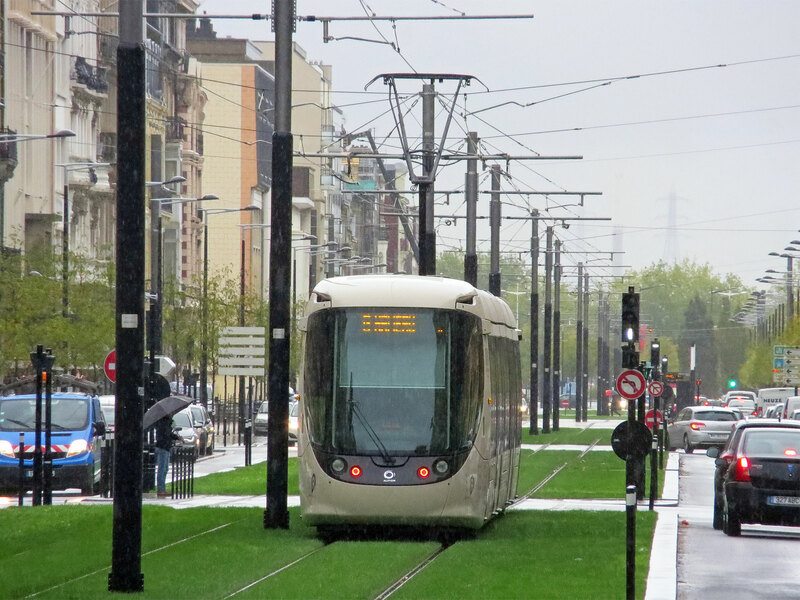 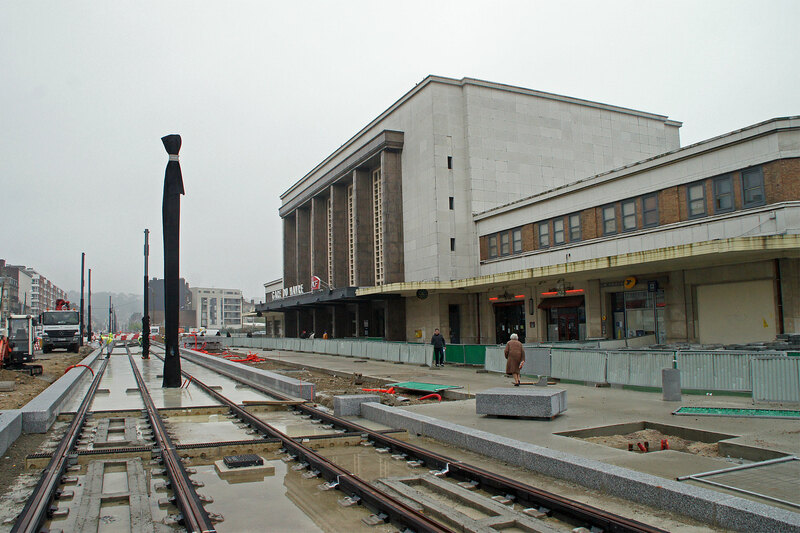 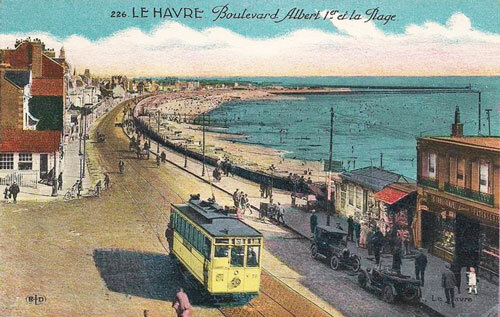 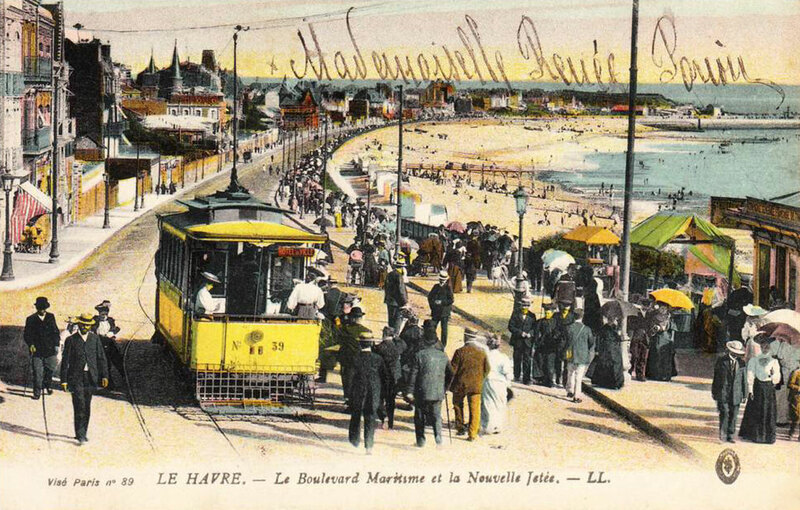 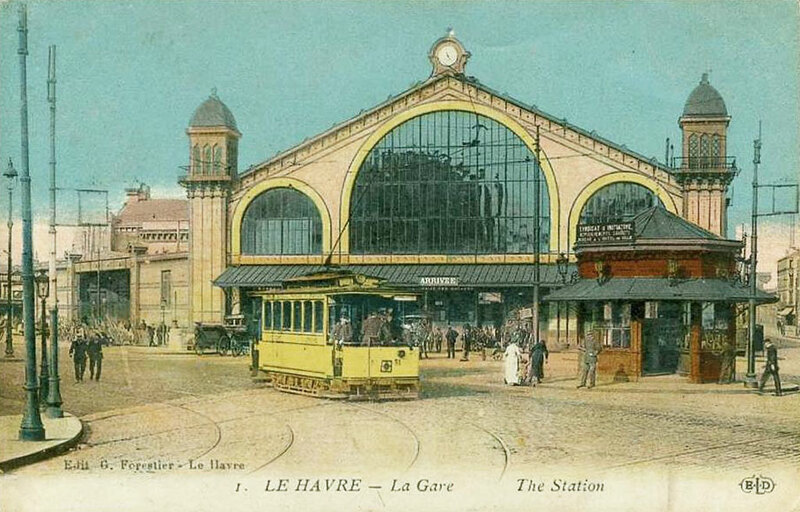 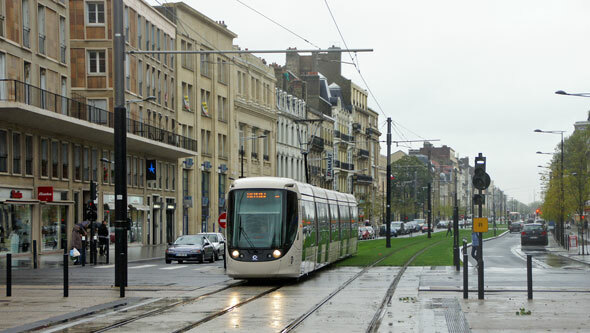 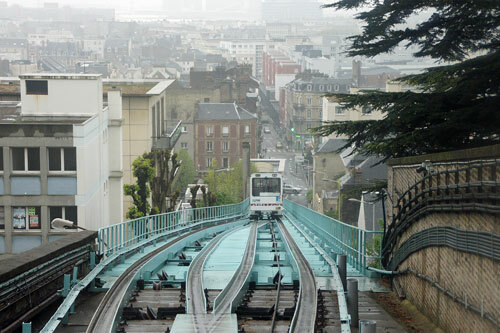 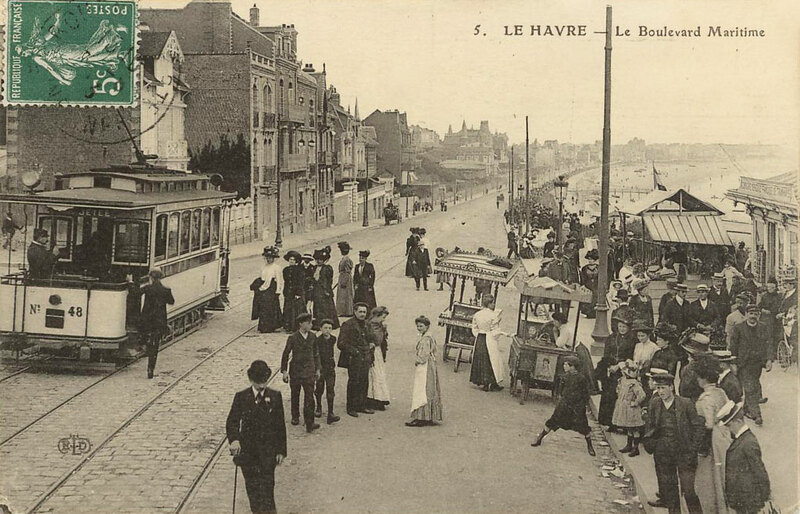 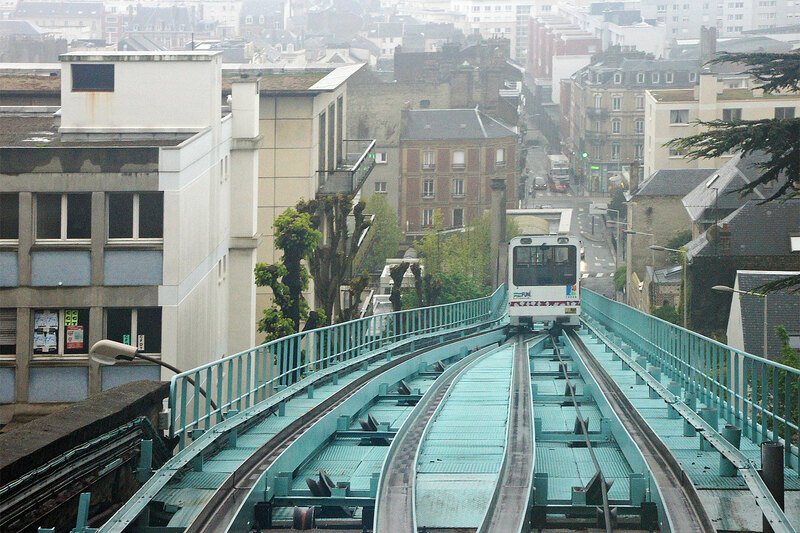 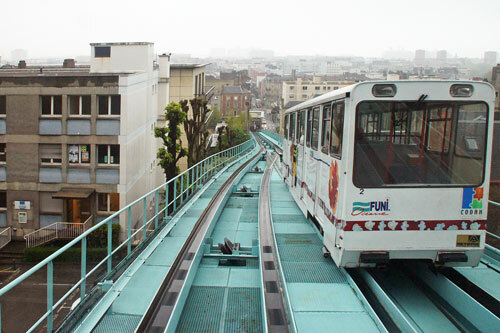 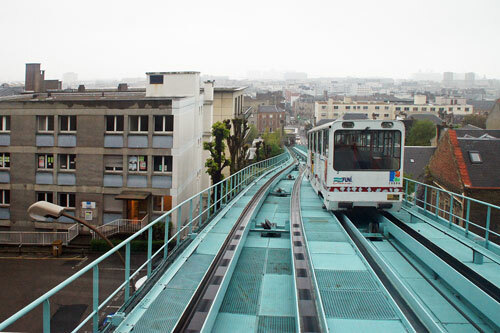 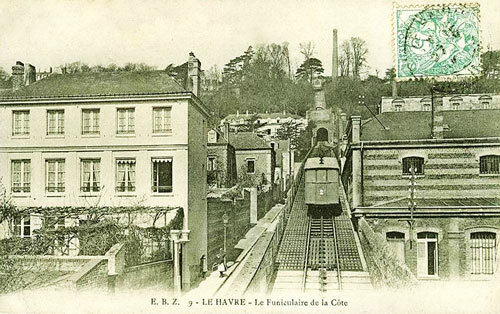 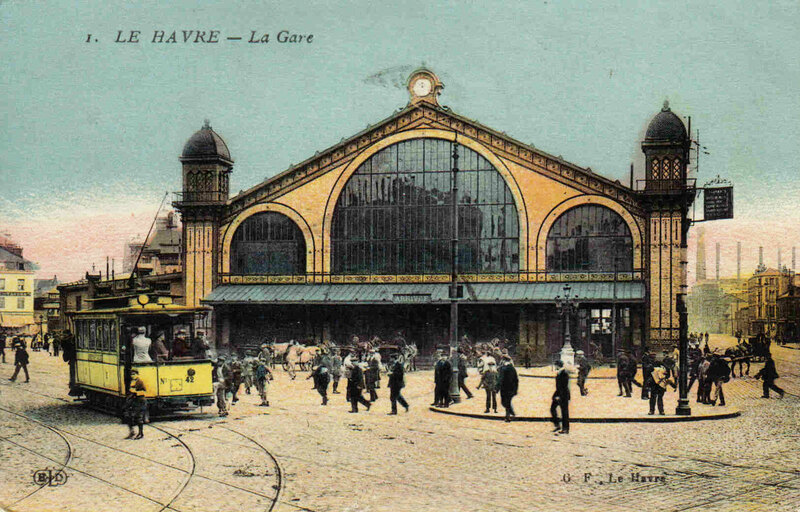 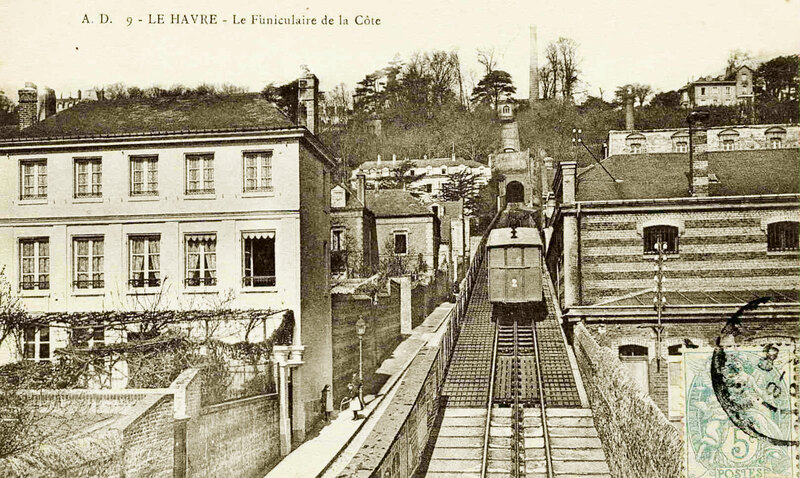 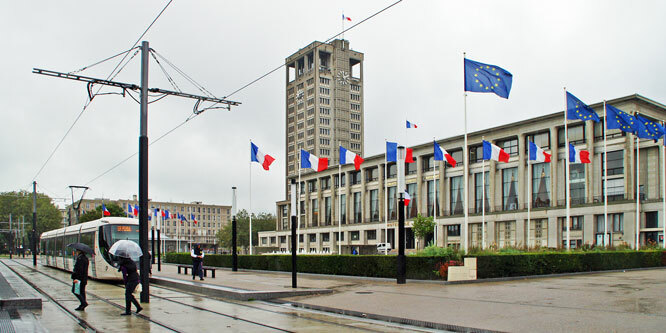 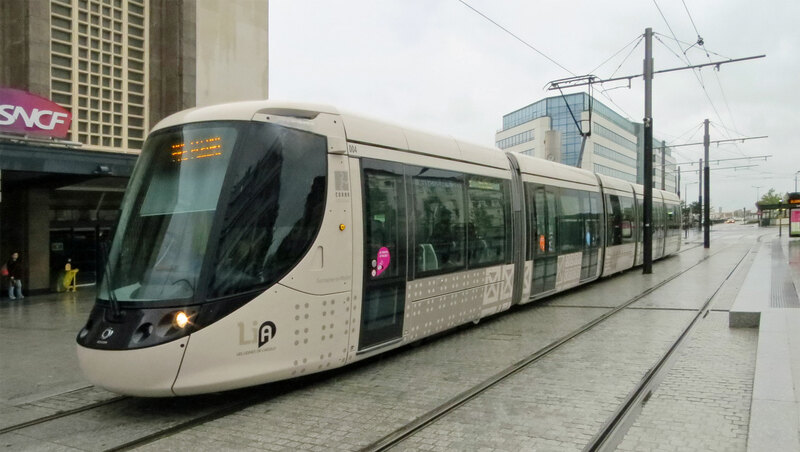 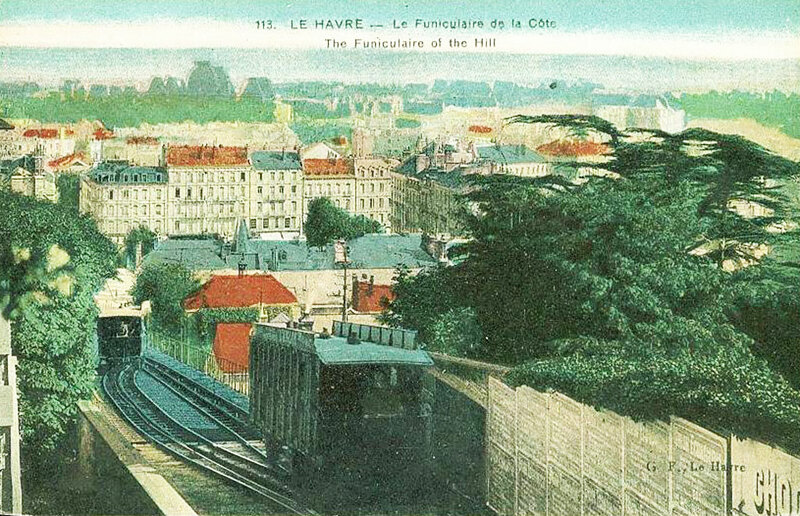 Le Havre was the fourth city in France to possess a tramway network after Paris, Lille and Nancy. 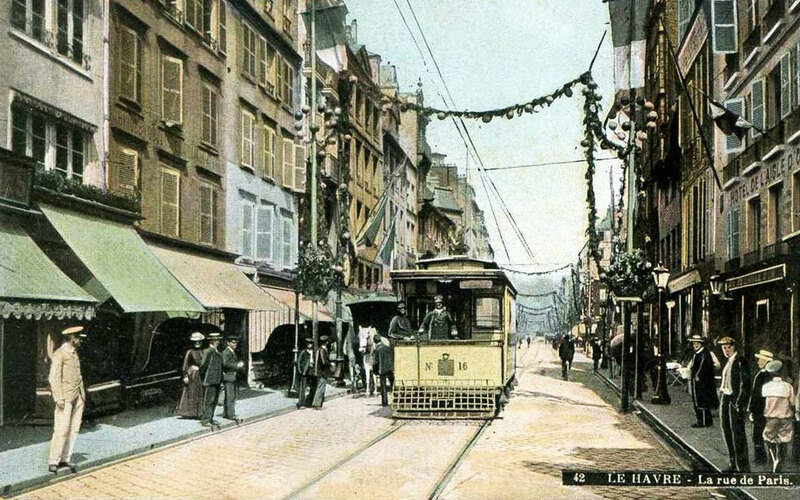 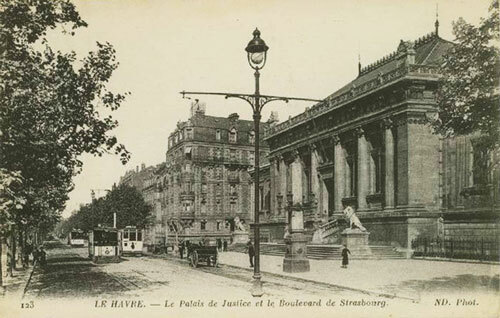 The tramways were run by the Compagnie générale française de tramways (CGFT), an association between Frédéric de la Hault and the Banque Française et Italienne. 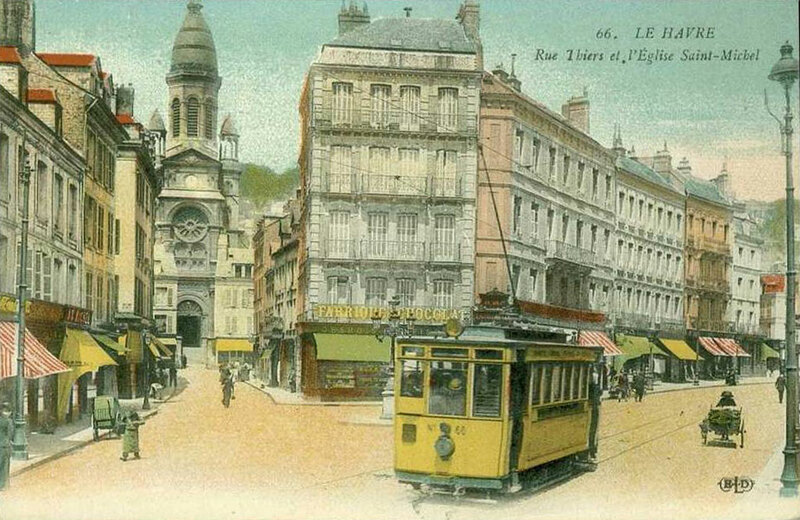 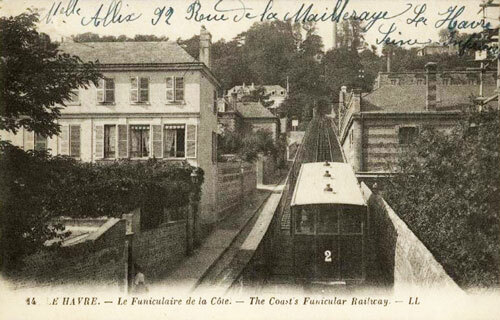 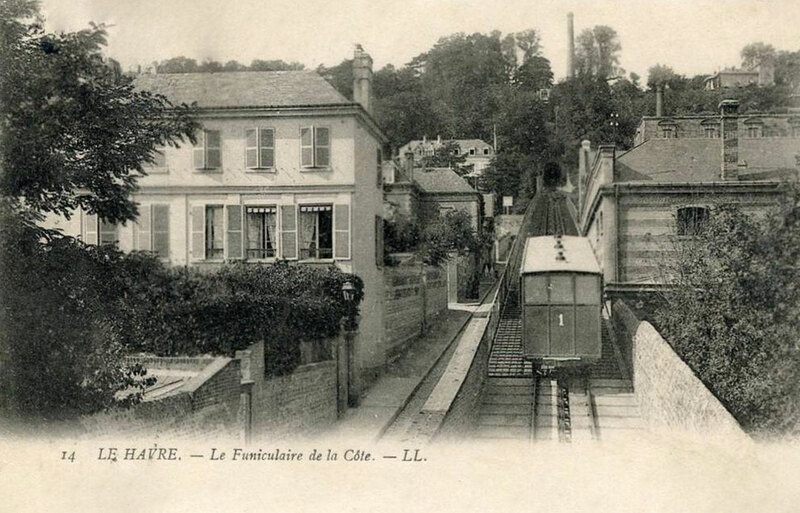 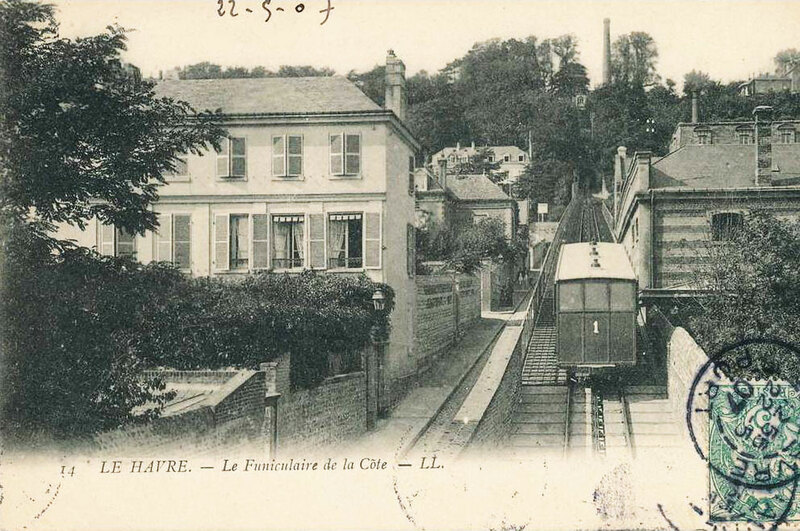 CGFT also ran tramways in Nancy, Orléans and Marseille. 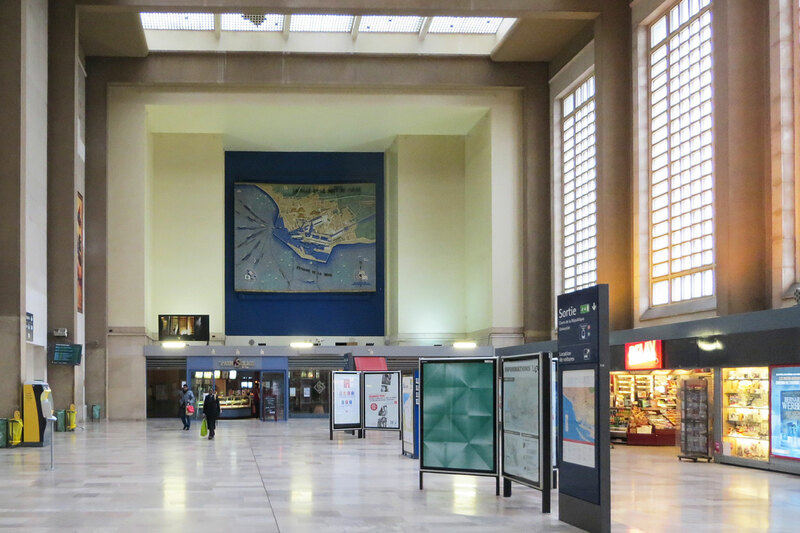 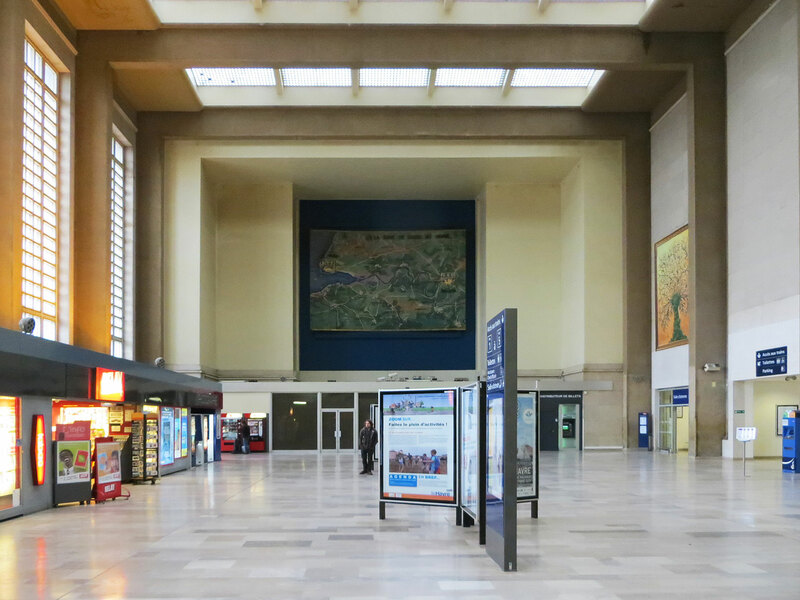 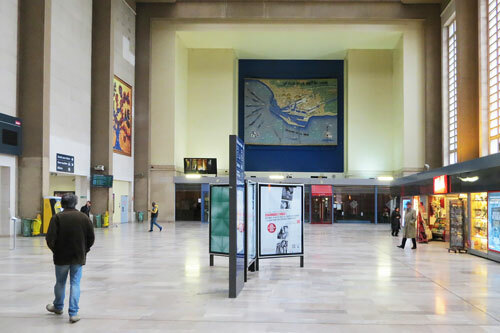 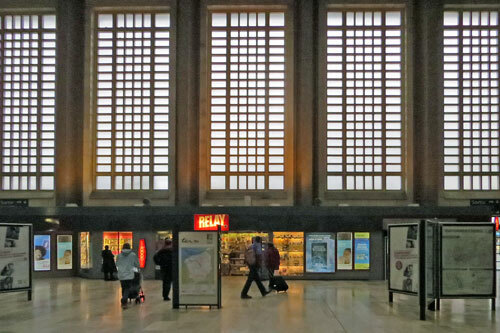 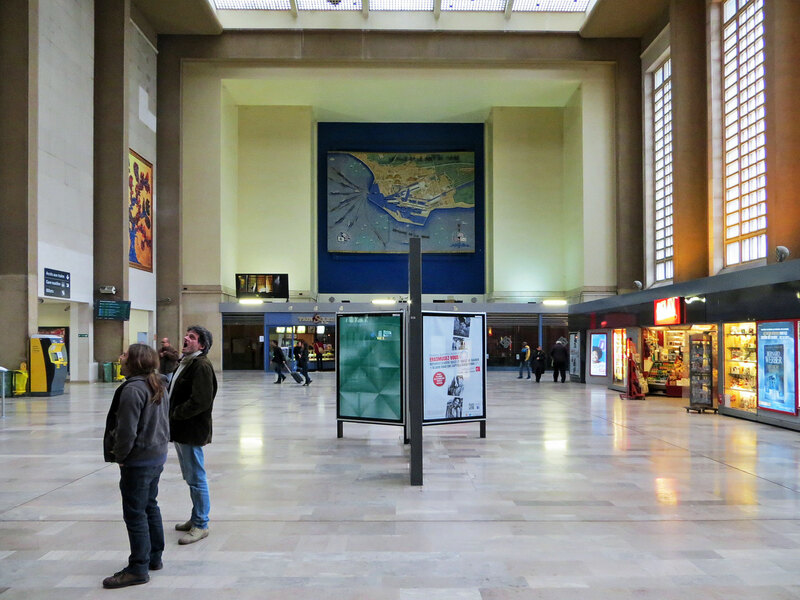 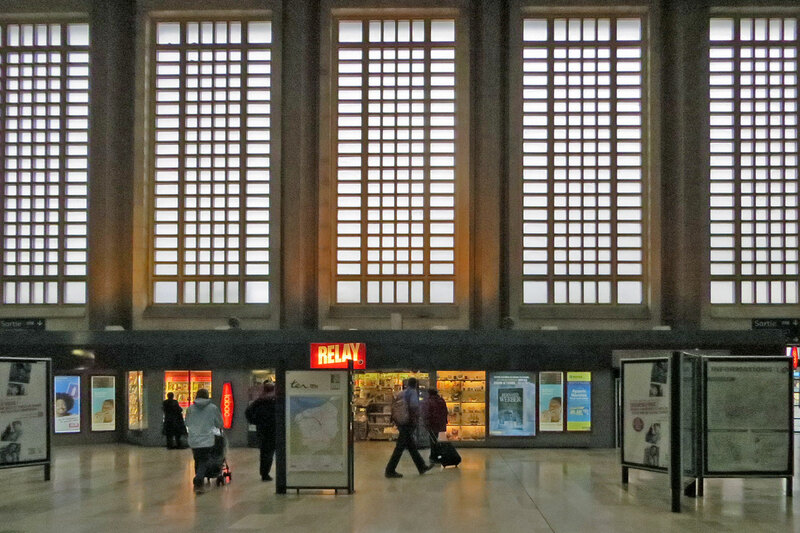 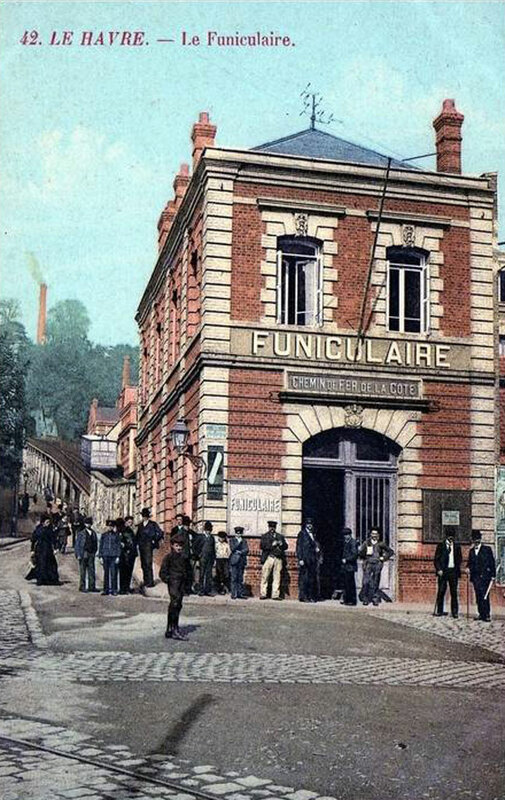 The system grew and in 1894 electrification of all lines was completed, the first major city in France to achieve this. 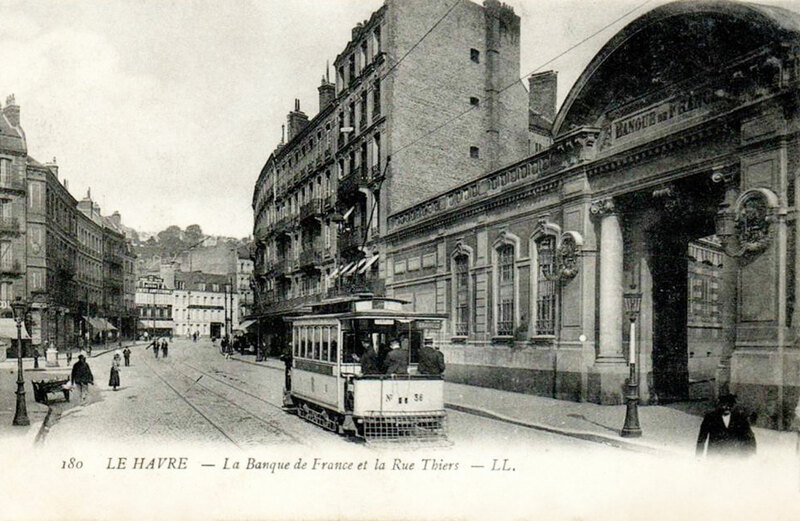 40 trams were acquired from the Compagnie française de matériel de chemin de fer in Yvry. 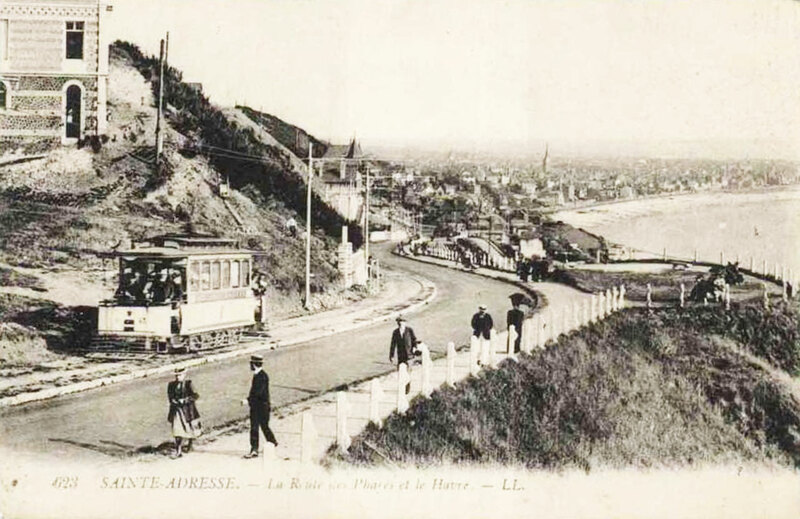 Numbered 1-40, the first 24 trams had a single 25hp motor. 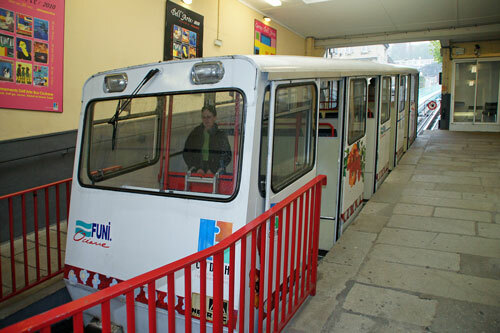 The remaining 16 had two identical motors for use on hilly routes. Eight similar trams were acquired later. Additional extensions were opened until 1912, by which time the system was carrying 23.6 million passengers per year over 42km of routes. 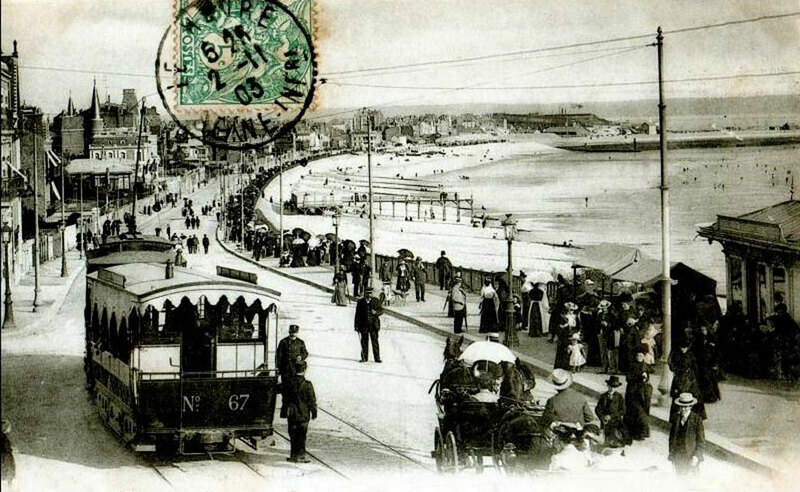 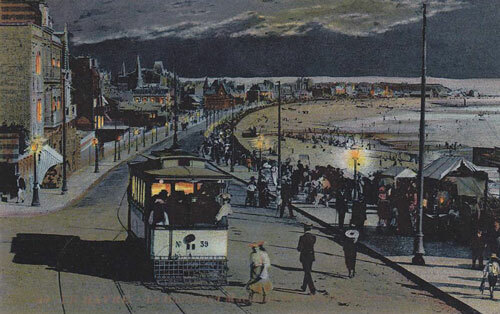 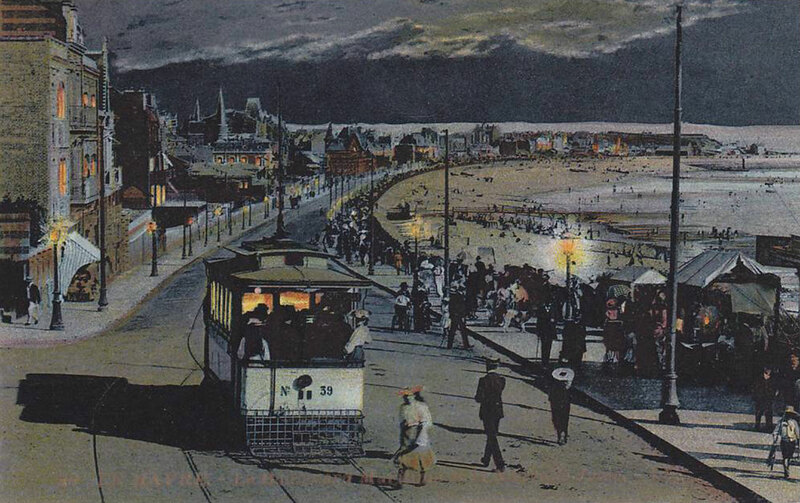 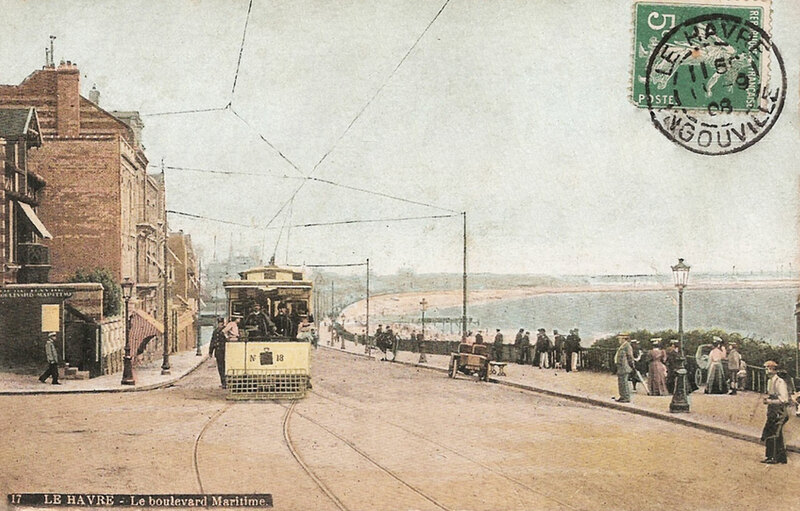 Trams 70-93 were delivered for the coast routes from 1896-99. 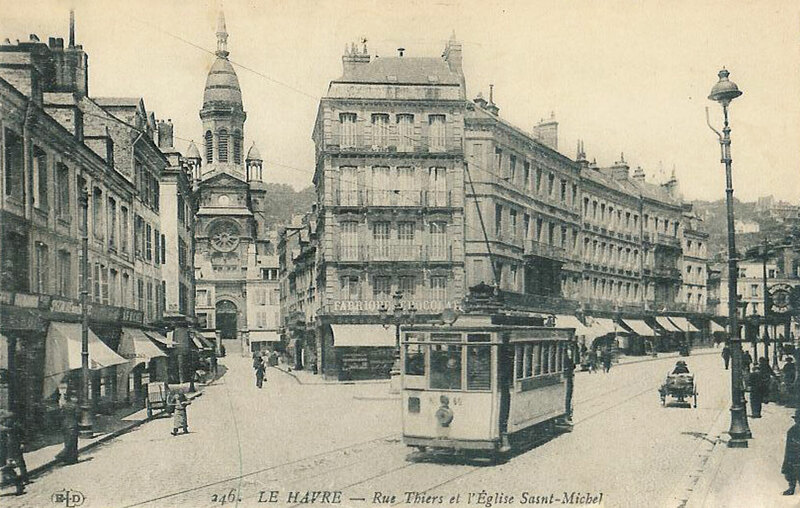 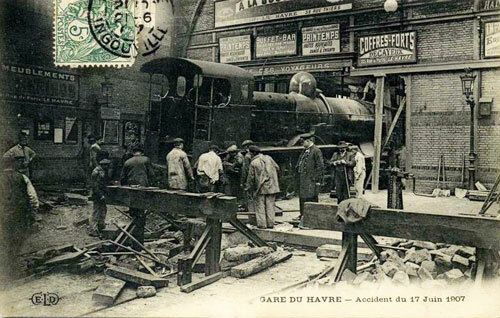 In 1913, trams 93-104, built by CGFT for Marseille, were transferred to le Havre. 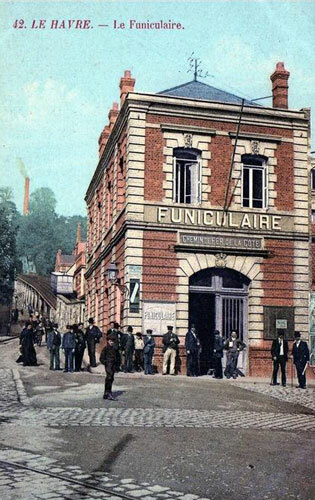 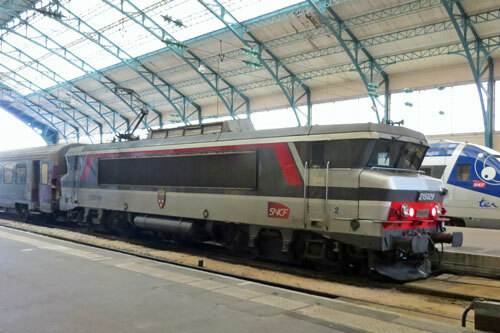 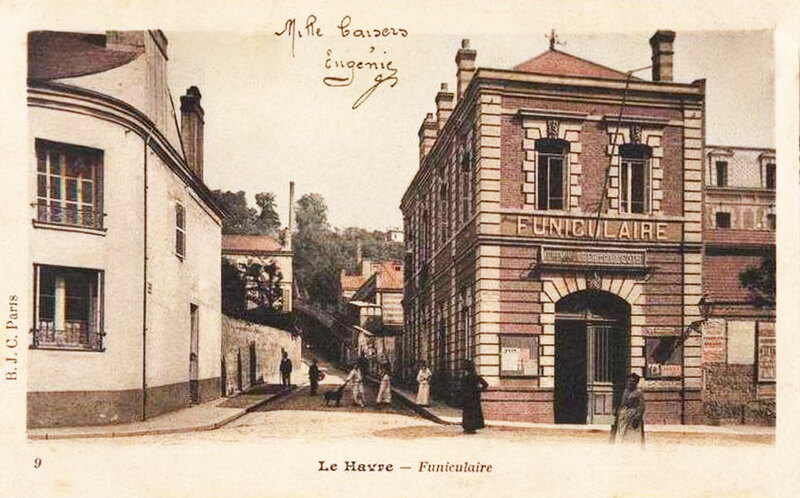 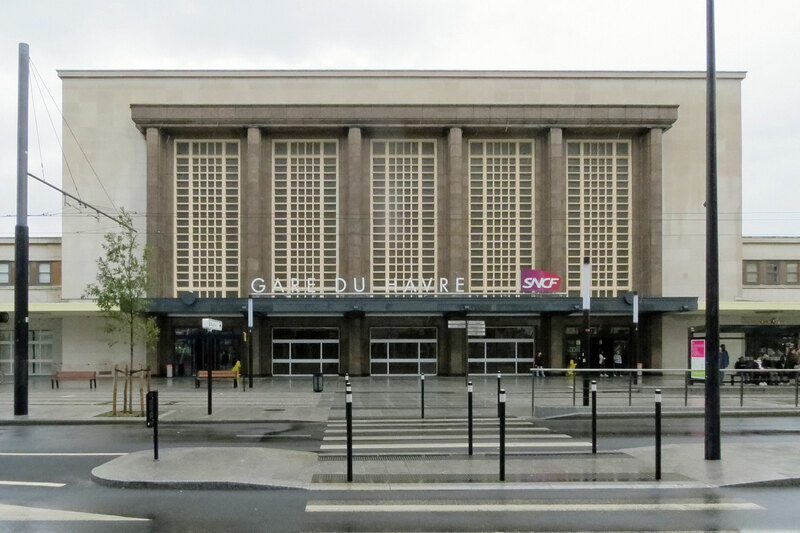 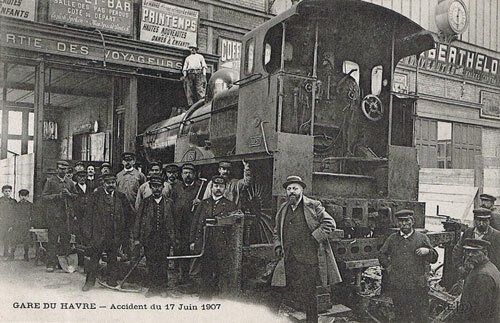 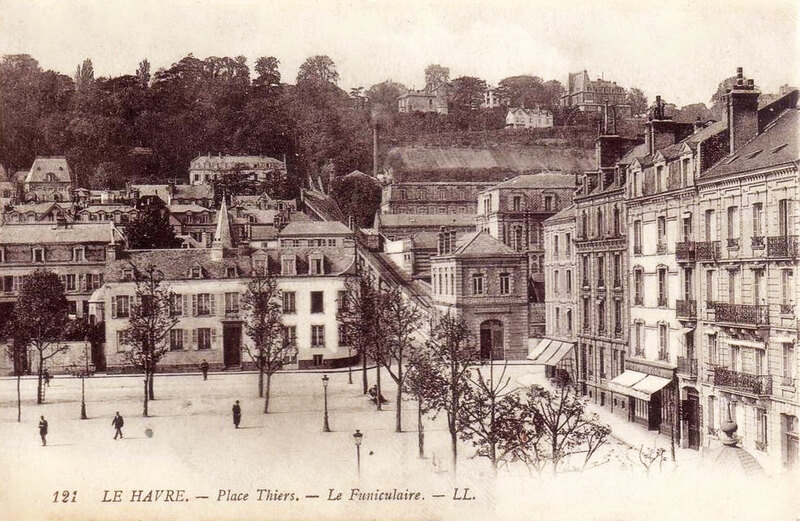 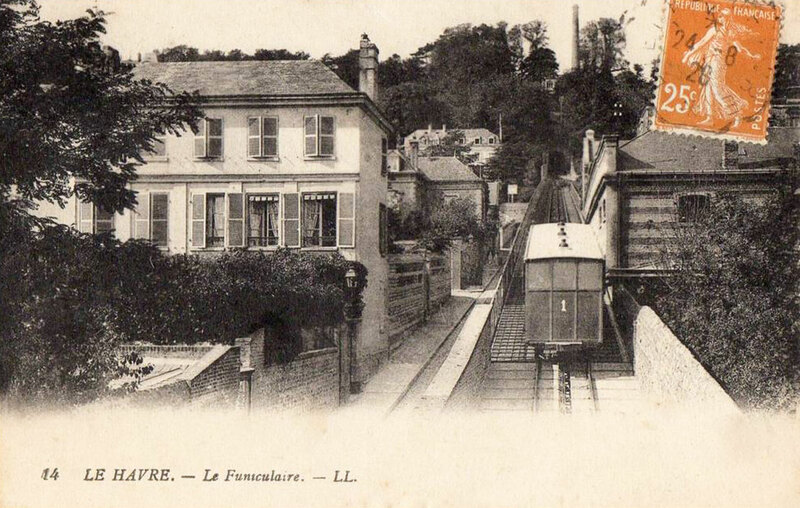 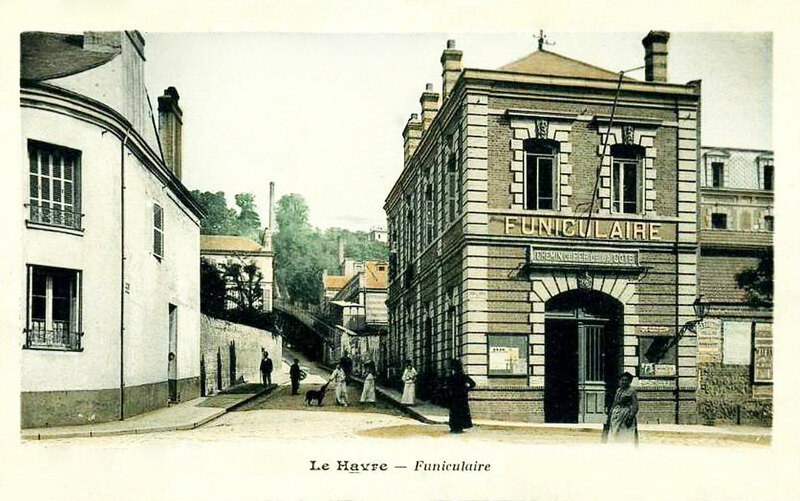 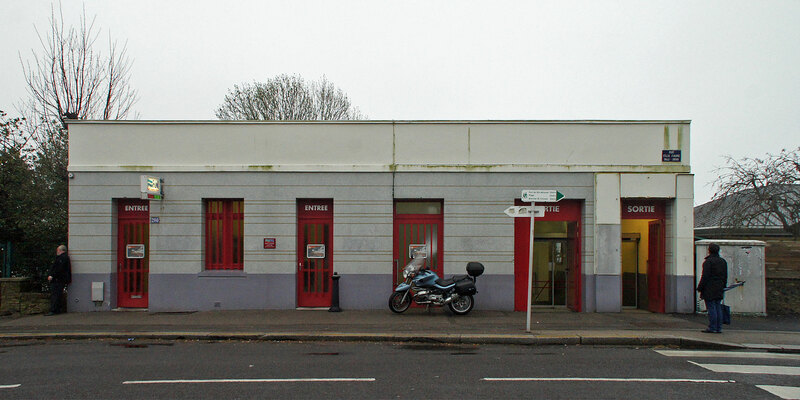 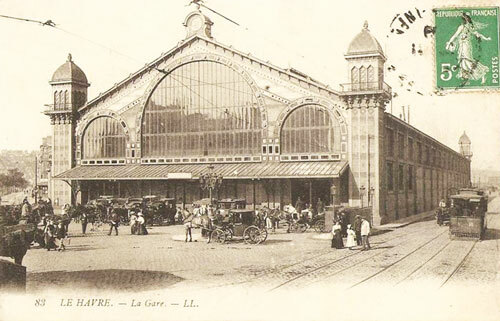 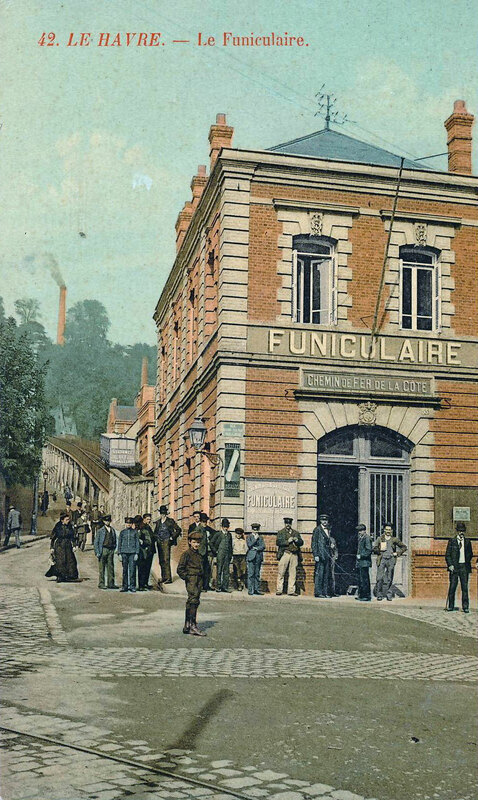 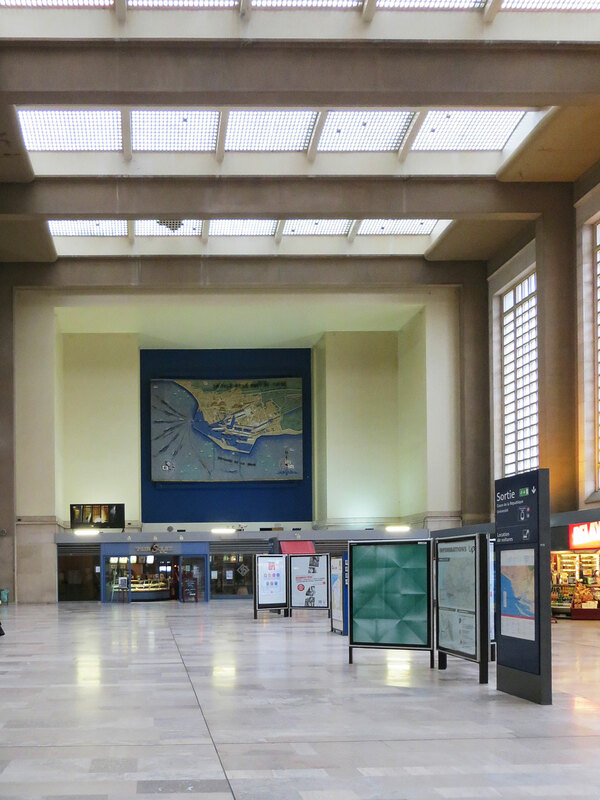 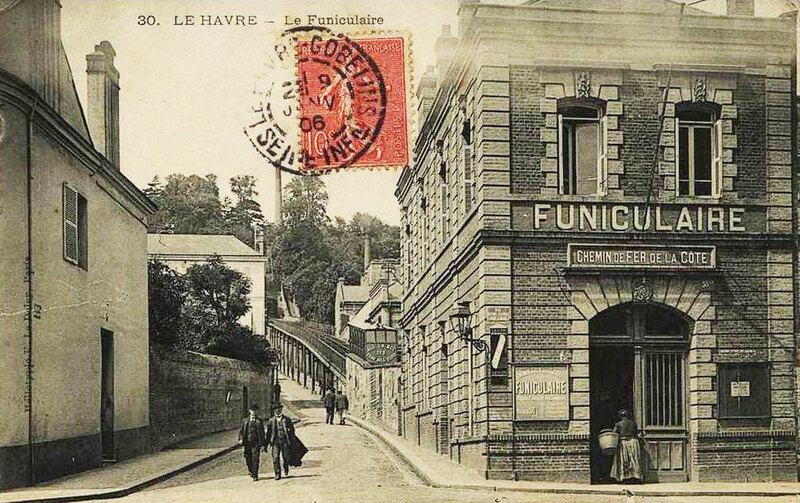 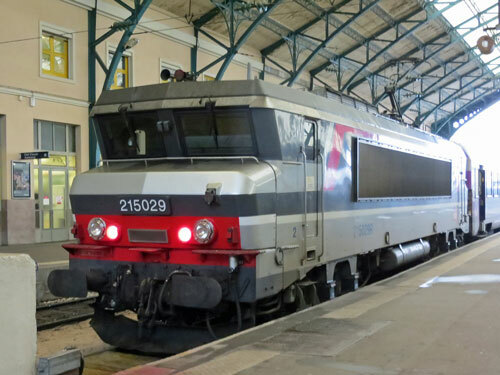 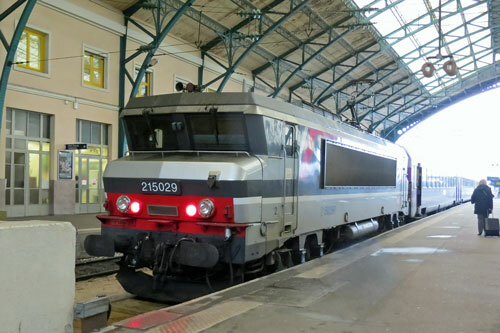 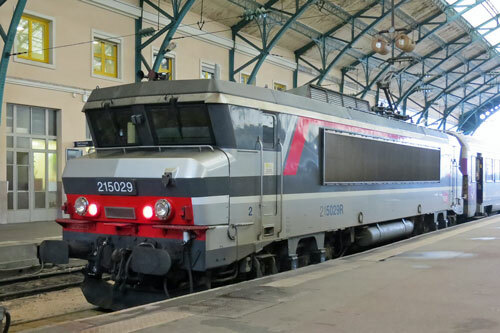 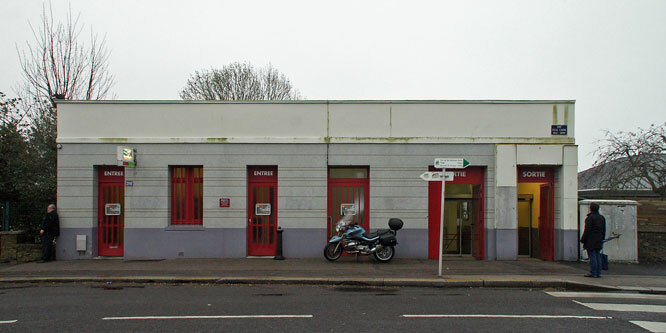 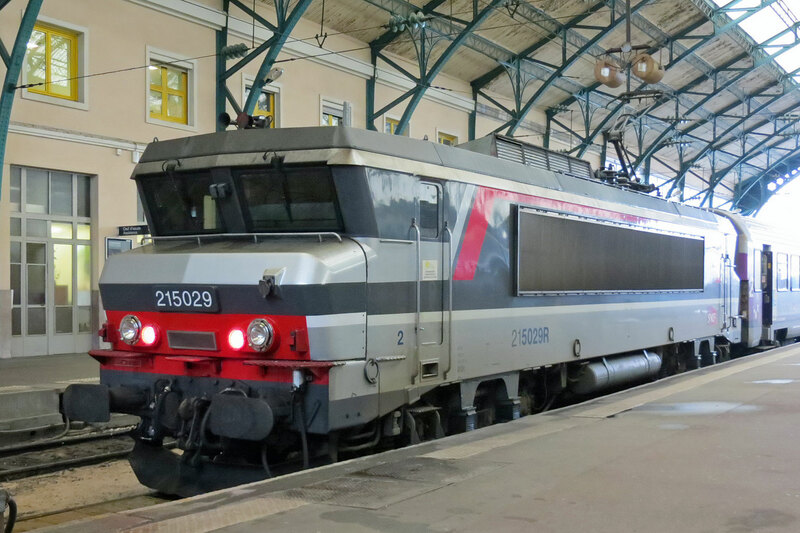 In independent rival to CGFT started operations in 1899 with a single-track meter gauge electric tramway starting from the pier at Le Havre to the small industrial town Montivilliers and serving the station, and Graville Harfleur, a distance of 14.3km. 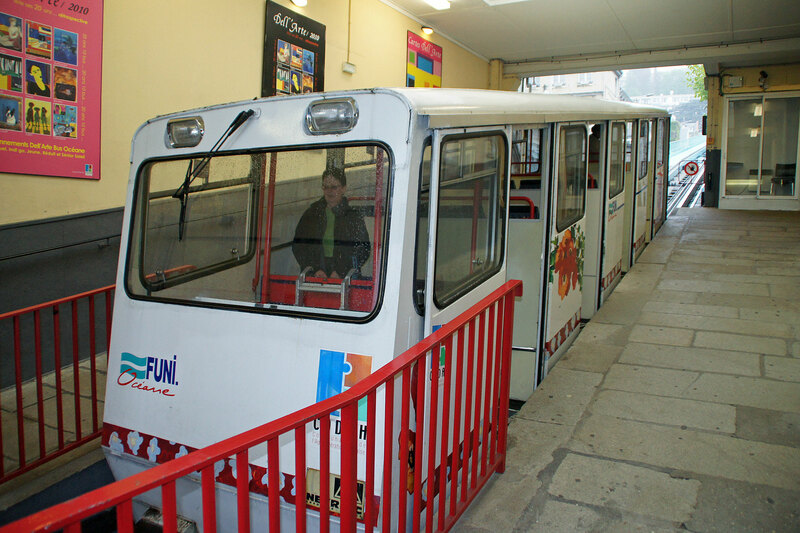 It was operated with 20 60hp motor trams and 10 trailers. 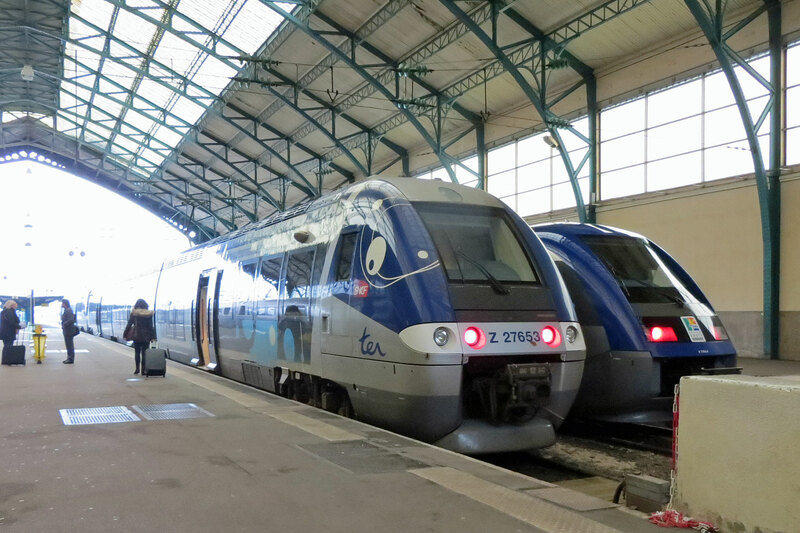 Passenger numbers were not high and services were steadily reduced. It was taken over by CGFT in 1908. The Montivilliers trams were numbered 50-69 by CGFT. The CGFT lines received little maintenance during WW1 and the company could not afford the necessary investment to rehabilitate the system. A new contract to operate the lines was negotiated allowing fare increases and reduced services. 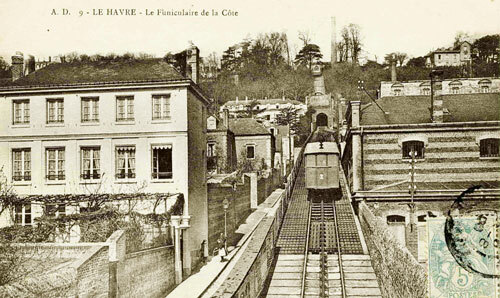 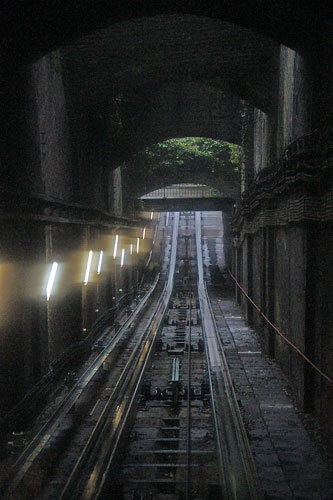 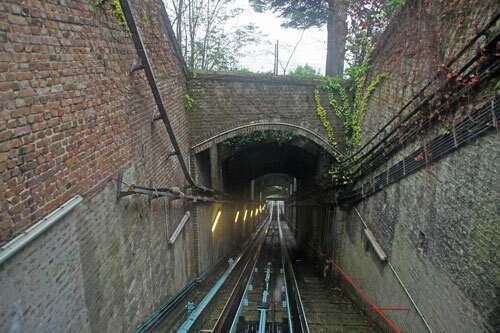 Line closures began in 1920. 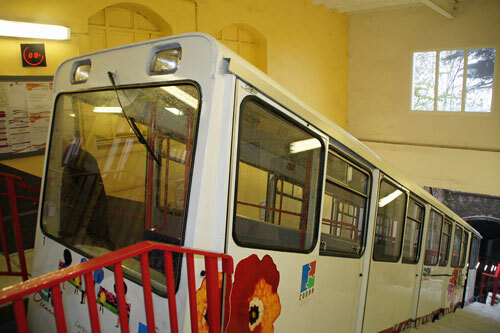 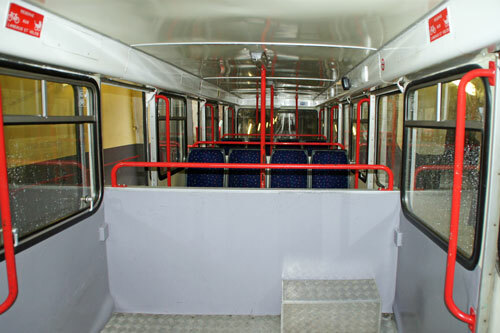 The municipality introduced its first motor buses in 1928, and trolleybuses followed in 1938. 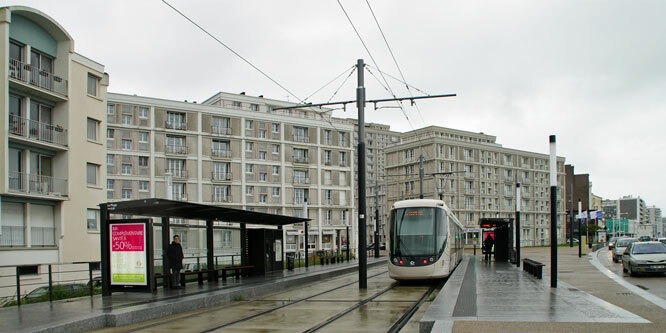 The only new trams were 104-109, delivered in 1932 by the Société Auxiliaire Française de Tramways (SAFT) for use on the Gare-Sanvic-Bléville route. 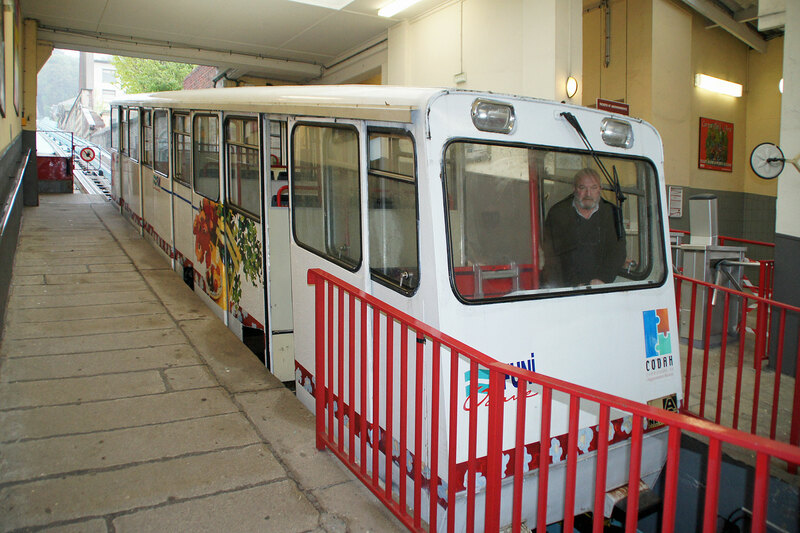 The tram system closed after the German occupation in WW2, but was later restarted at the request of the occupiers. There were over 120 Allied bombing raids between 1941 and 1944 which caused huge damage to the city and its tramways. 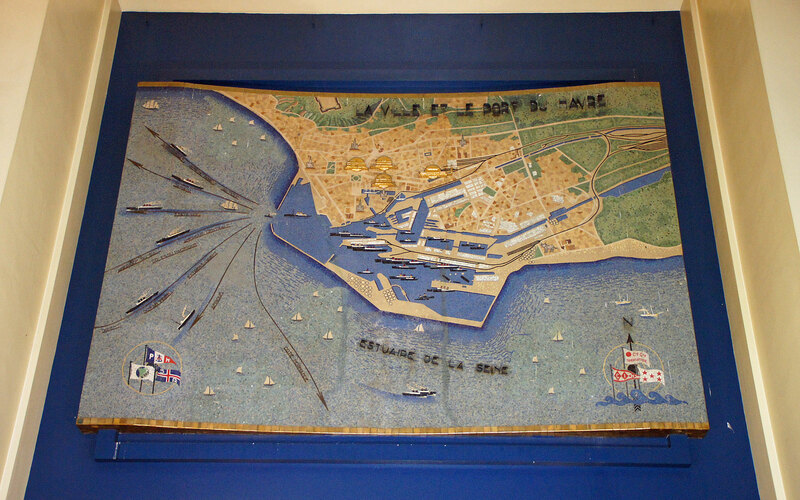 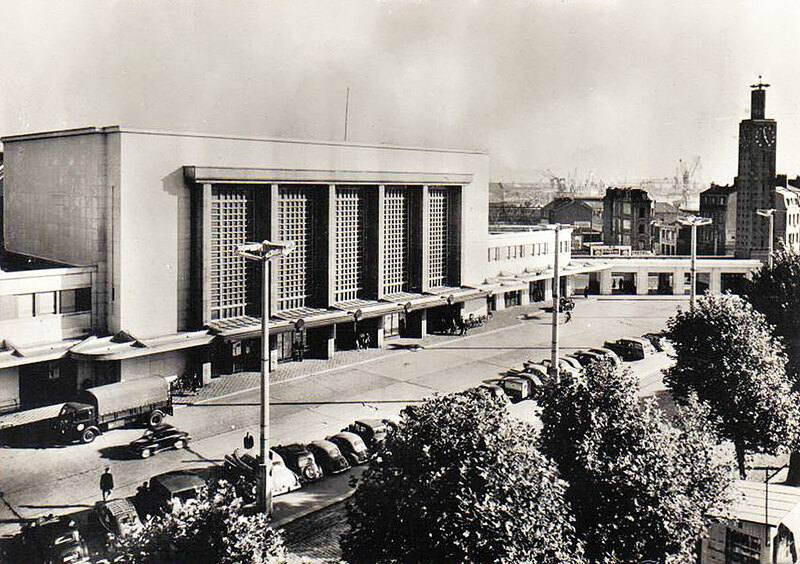 The worst raids were flown Allied aircraft on 5 and 6 September 1944 , which transformed the centre of Le Havre into a heap of ruins and destroyed almost all of the facilities CGFT. 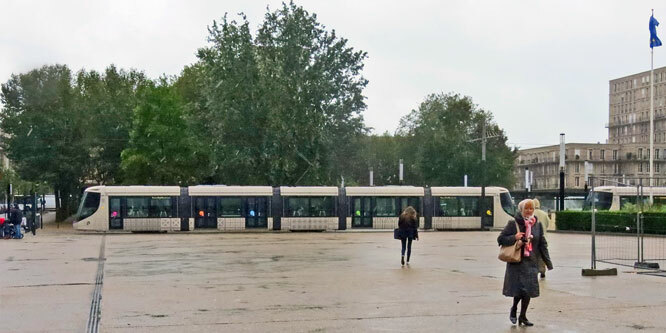 Of the 107 trams and 26 trailers existing before war, only 25 and 10 respectively were still usable by its end. In 1947, 37 trams were modernised and, I believe, renumbered from 105-142, since images exist of these numbers. 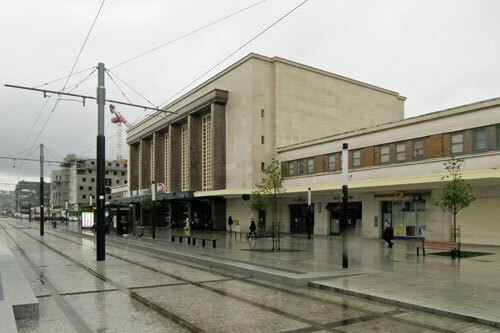 However the last tram ran on 4th June 1951. 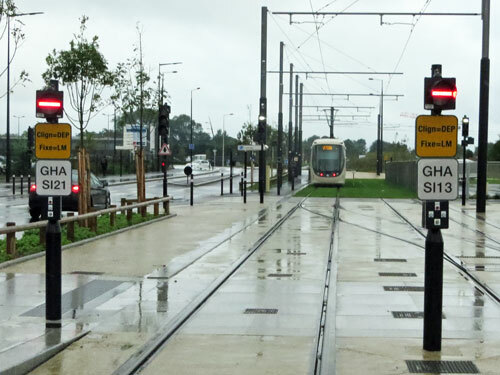 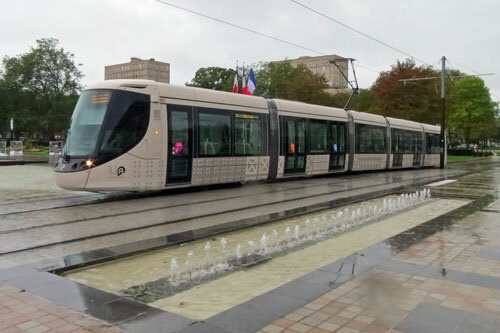 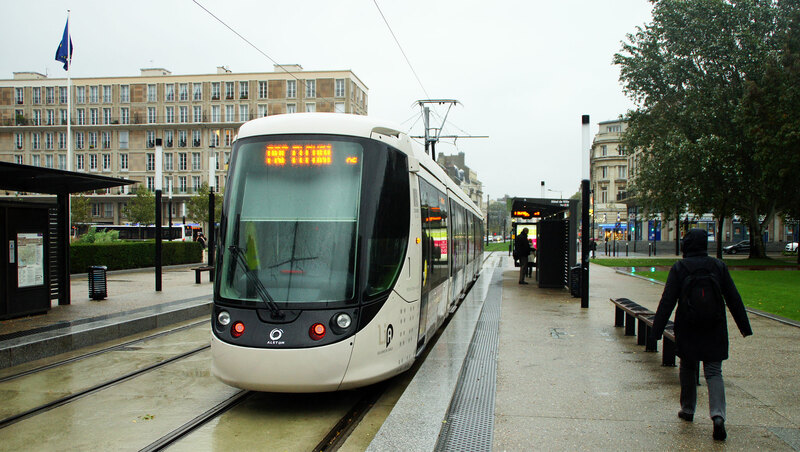 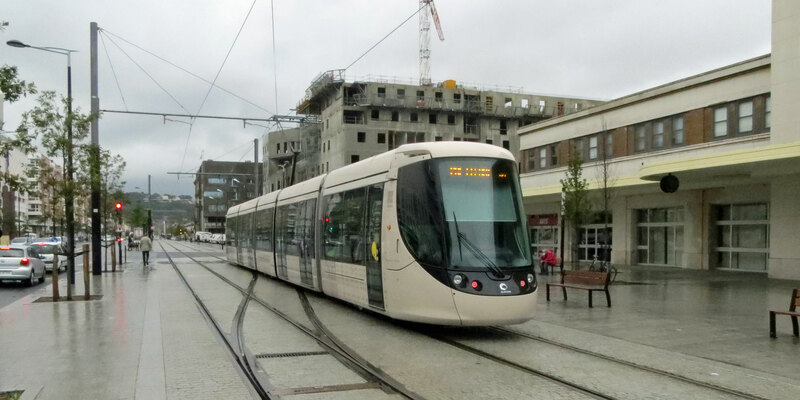 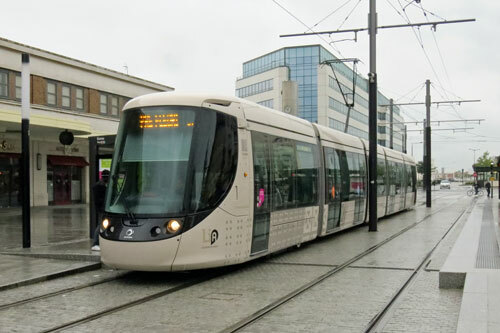 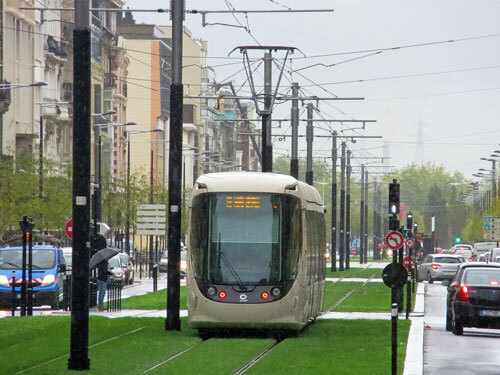 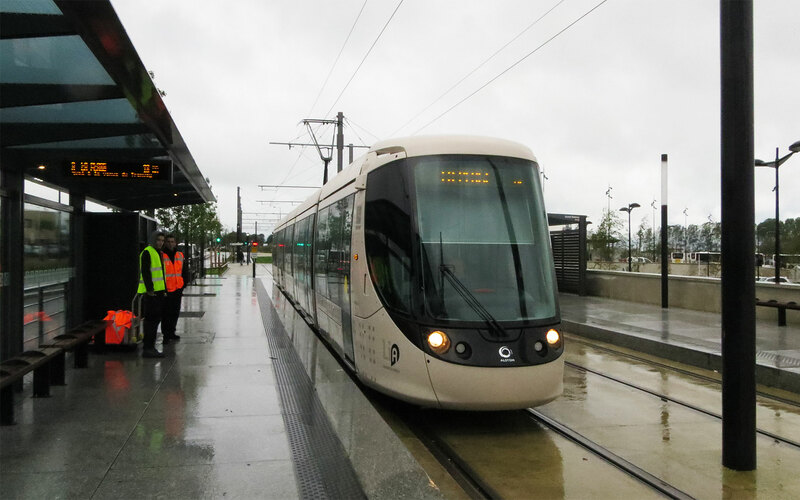 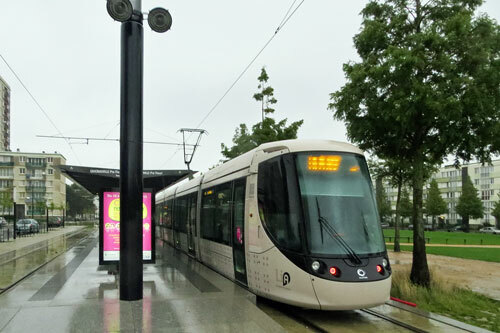 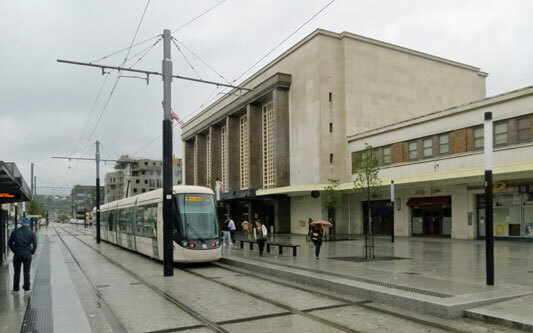 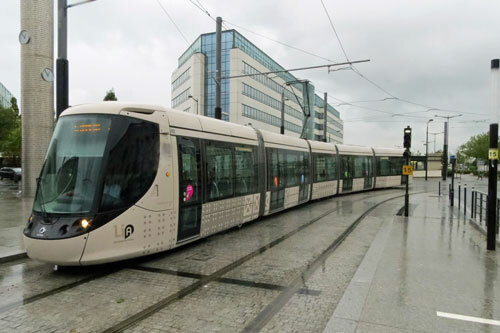 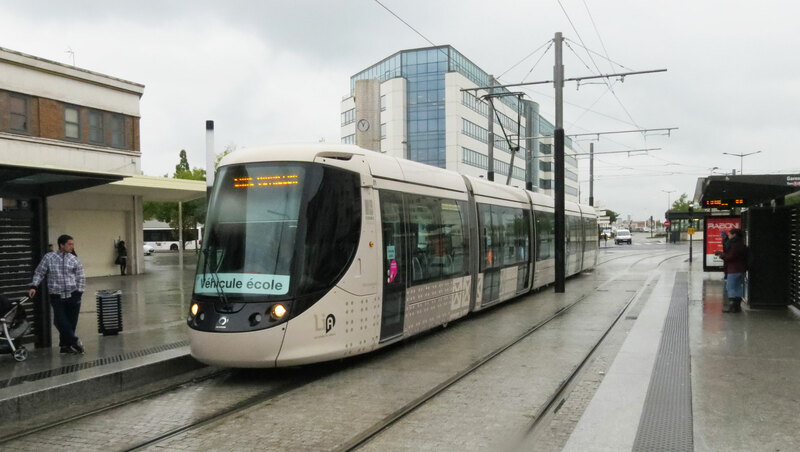 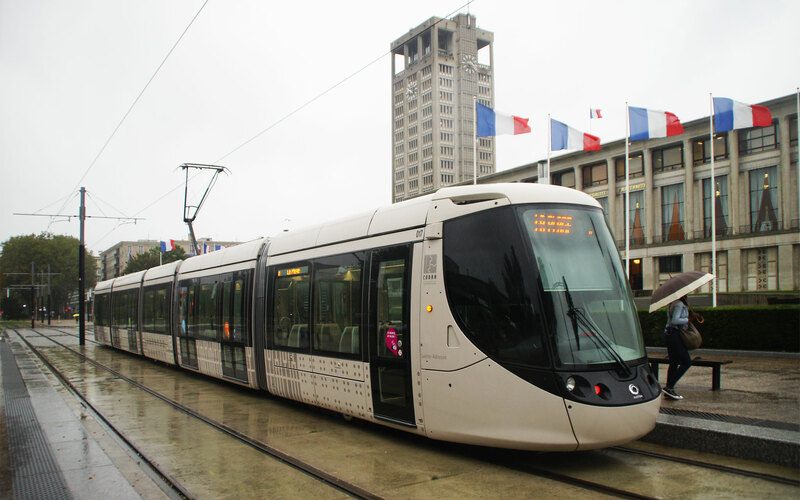 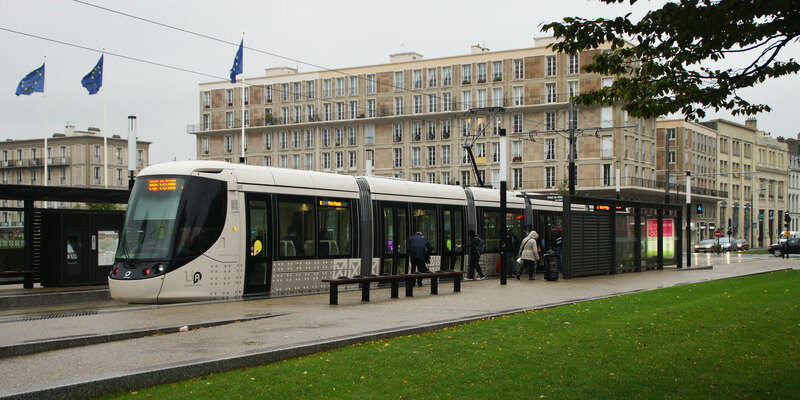 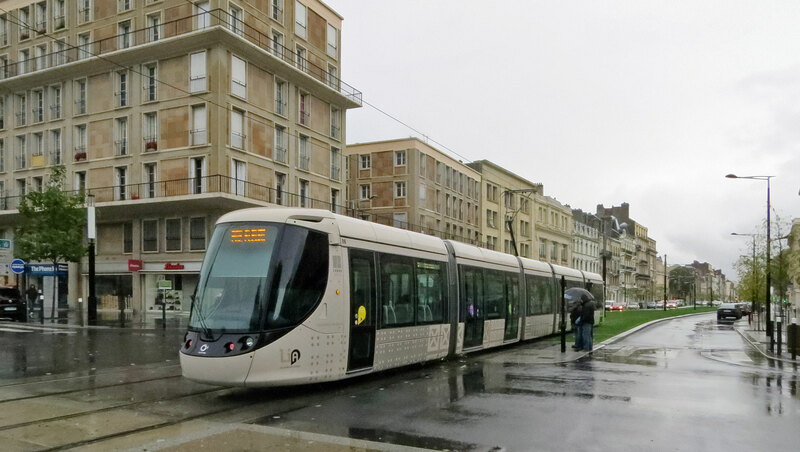 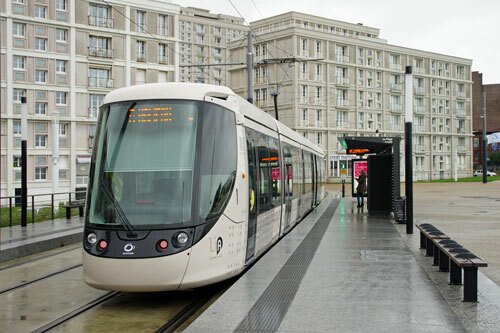 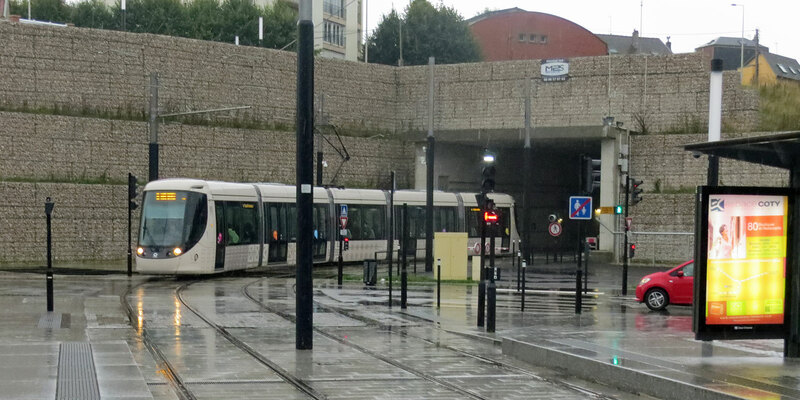 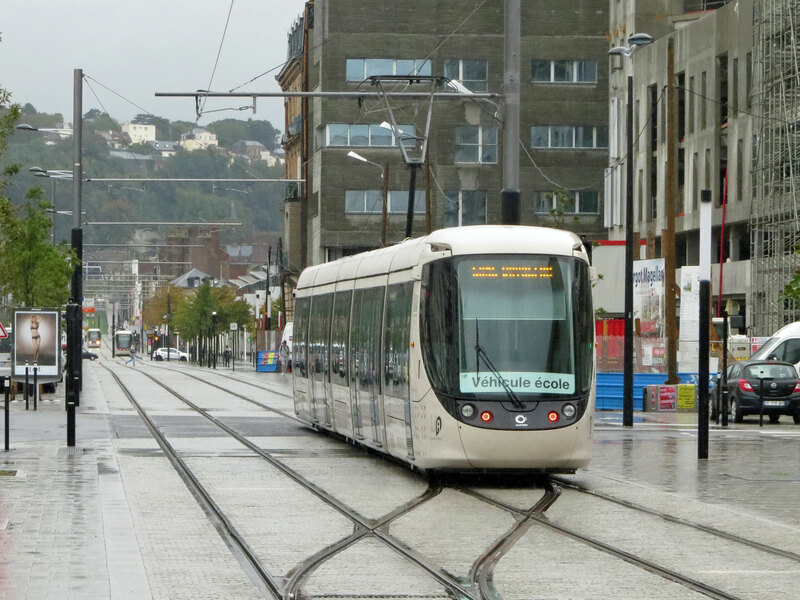 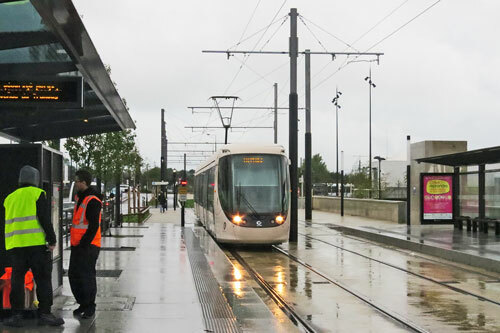 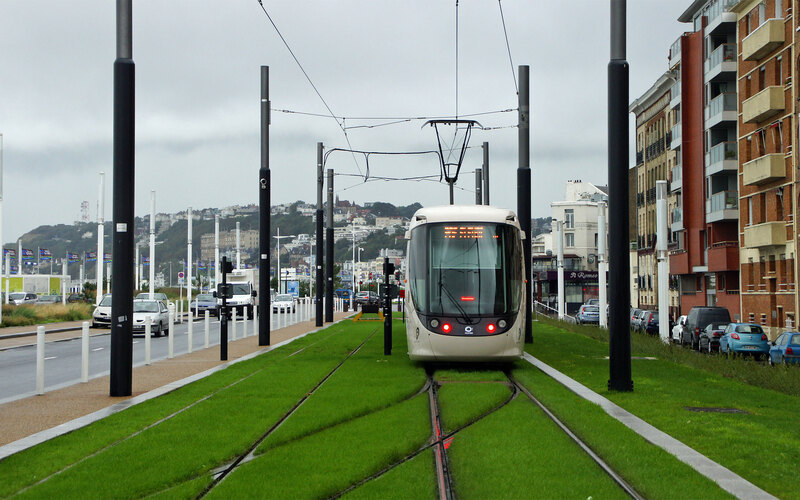 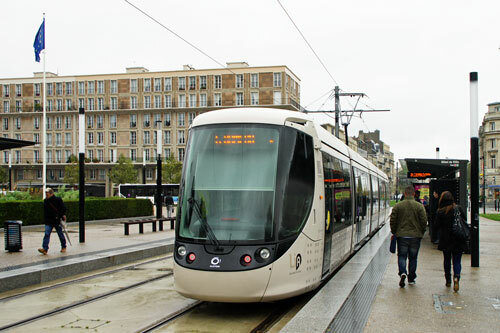 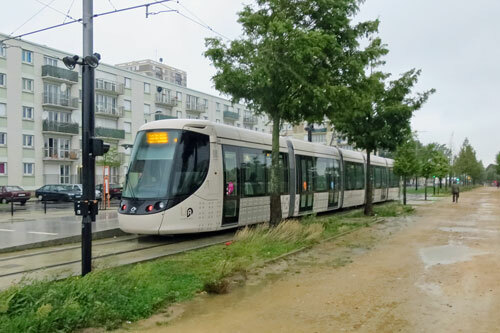 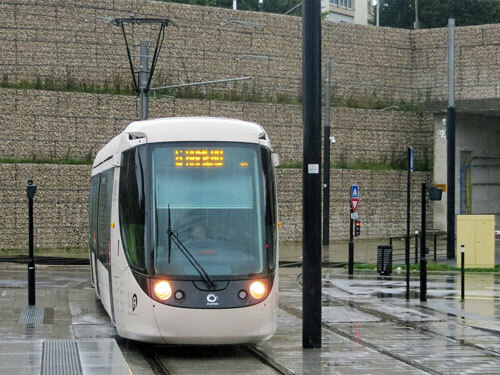 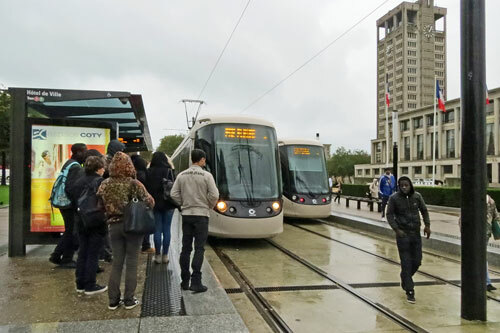 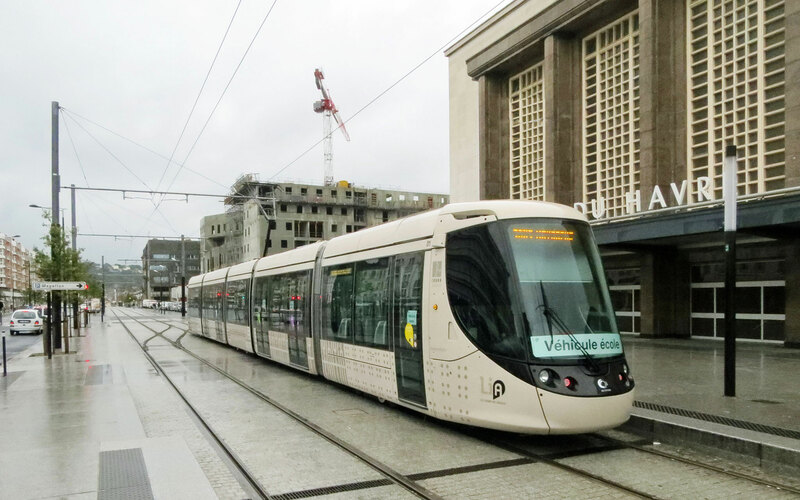 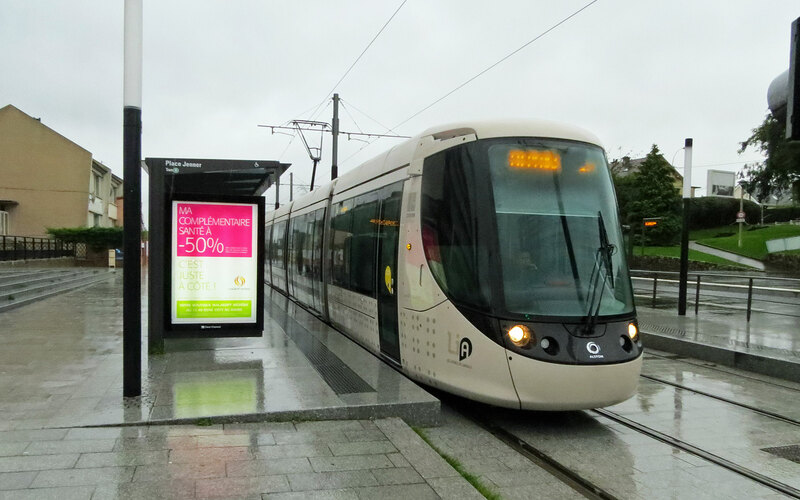 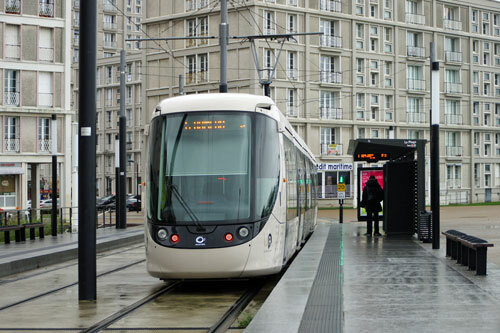 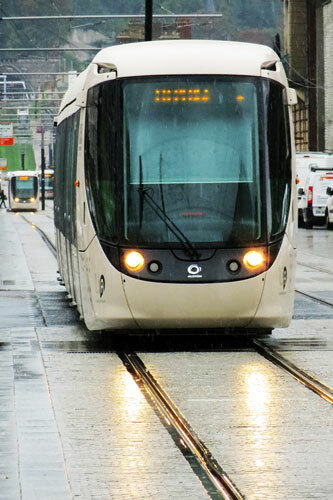 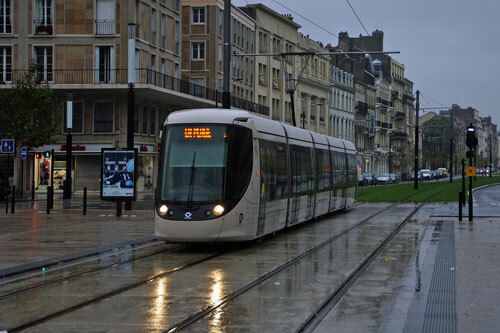 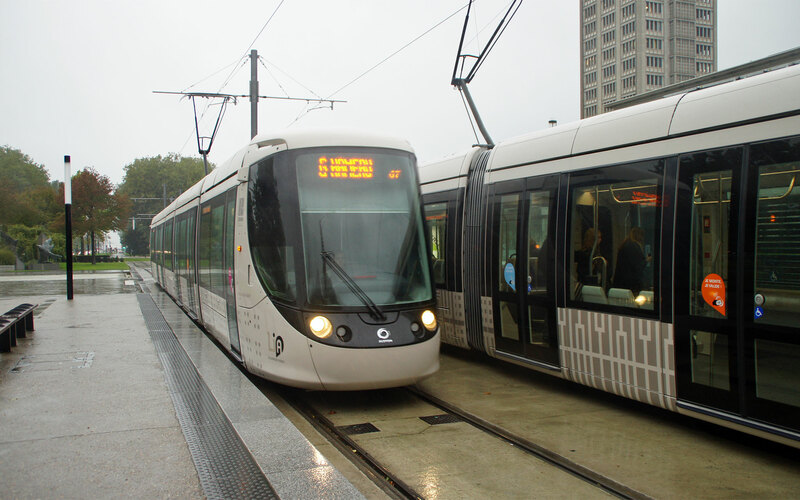 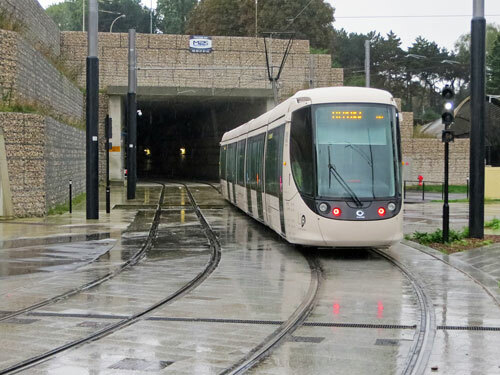 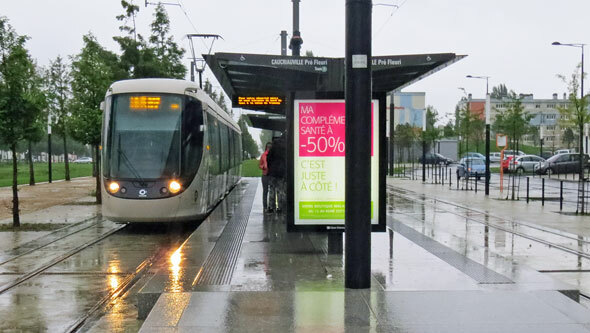 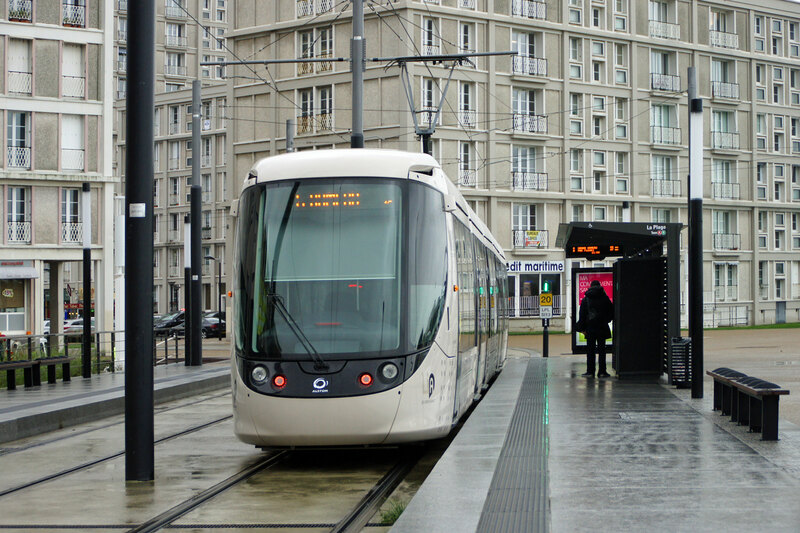 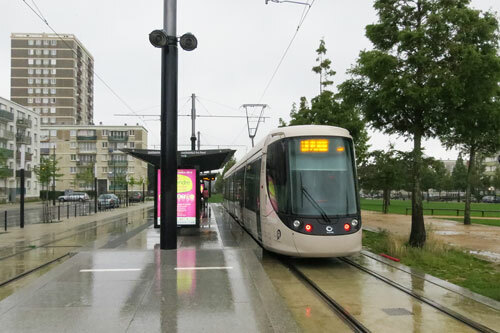 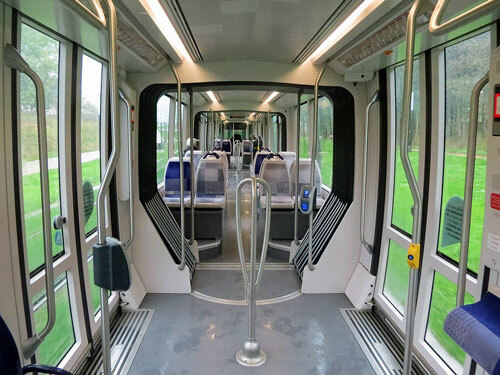 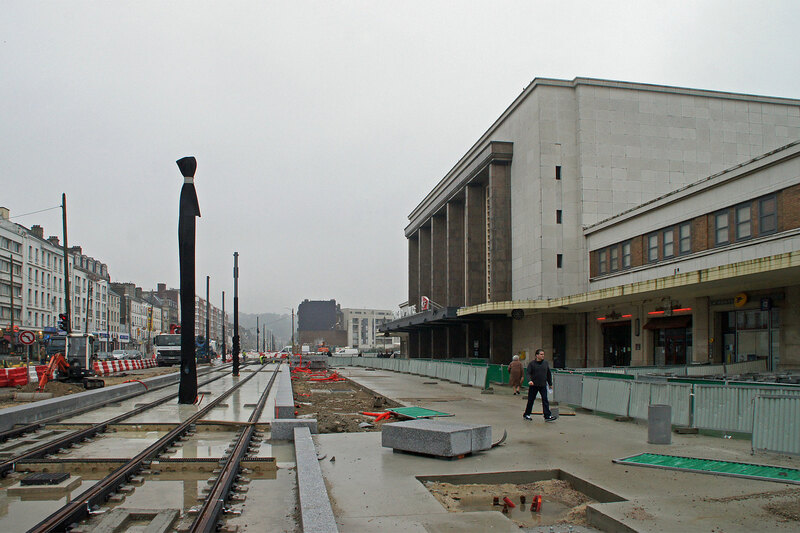 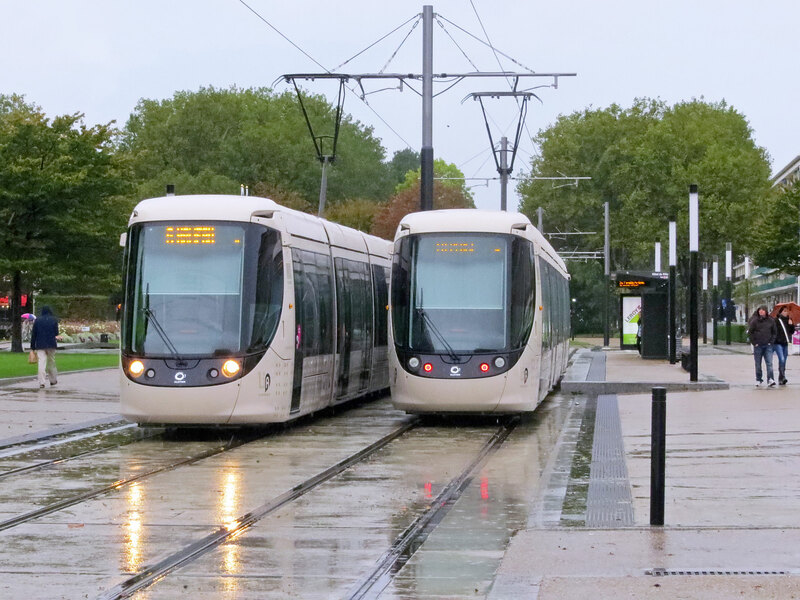 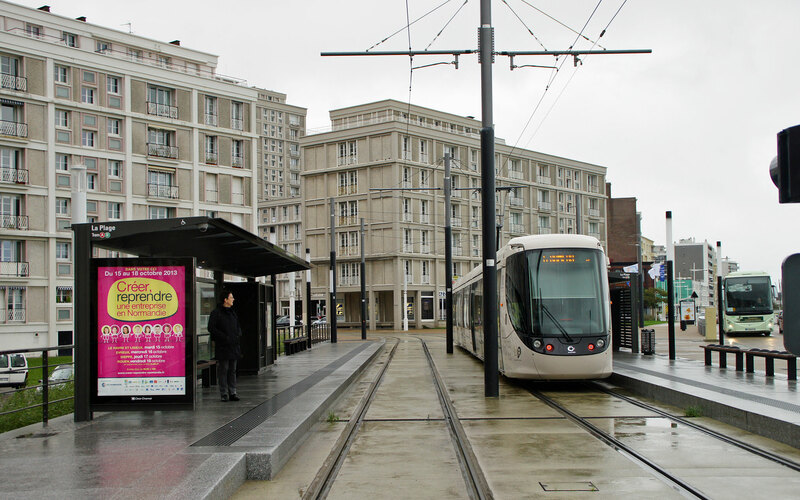 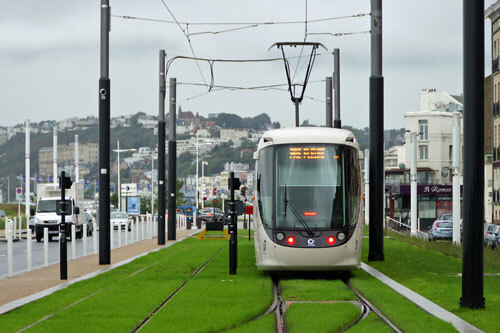 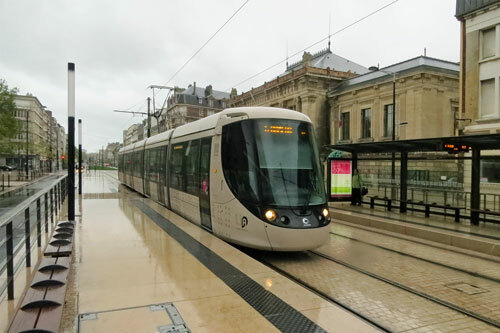 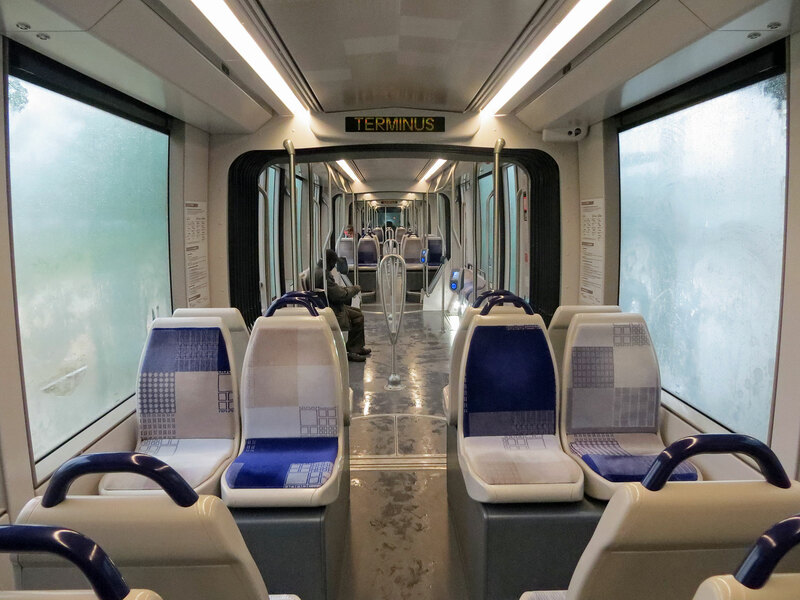 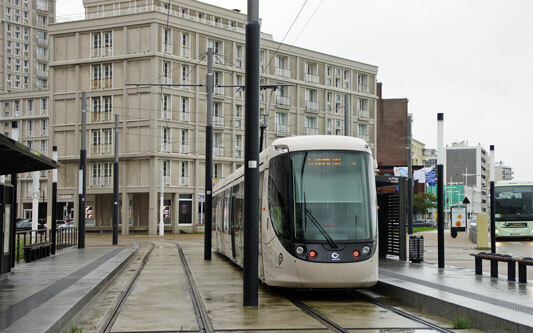 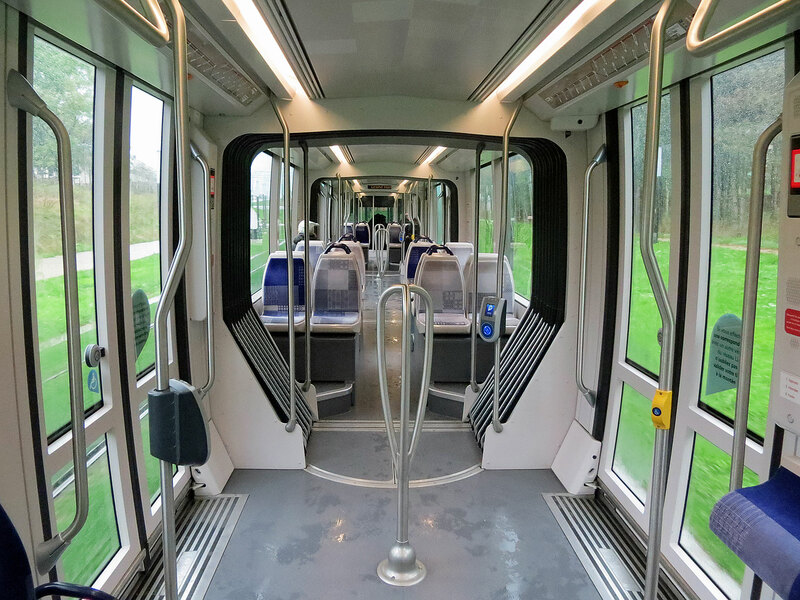 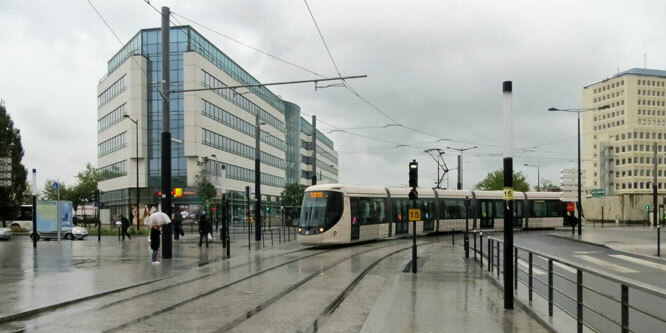 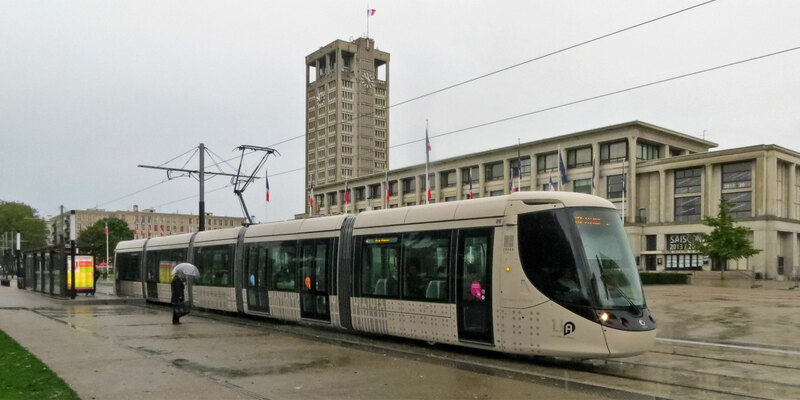 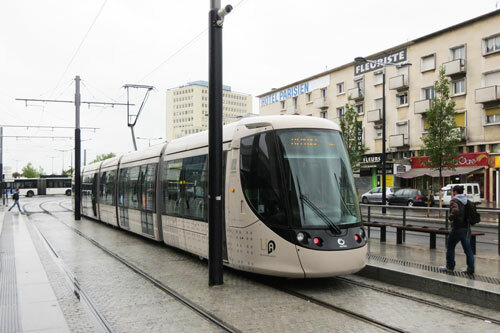 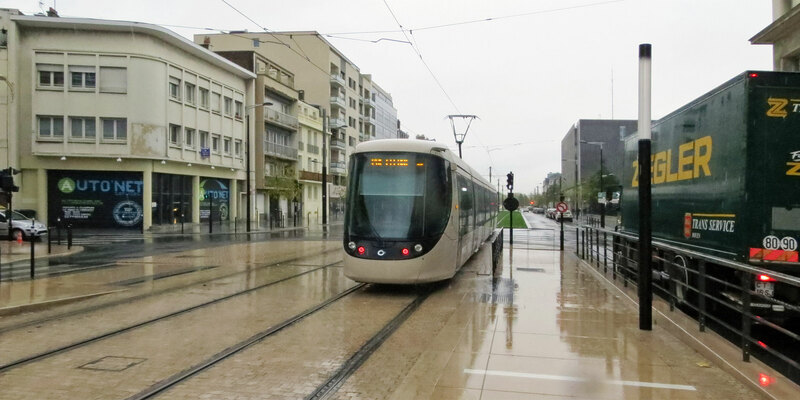 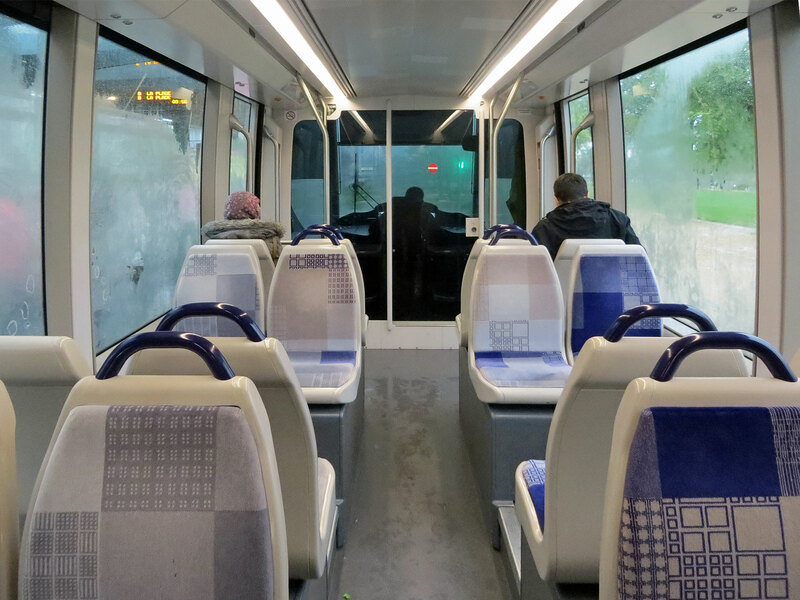 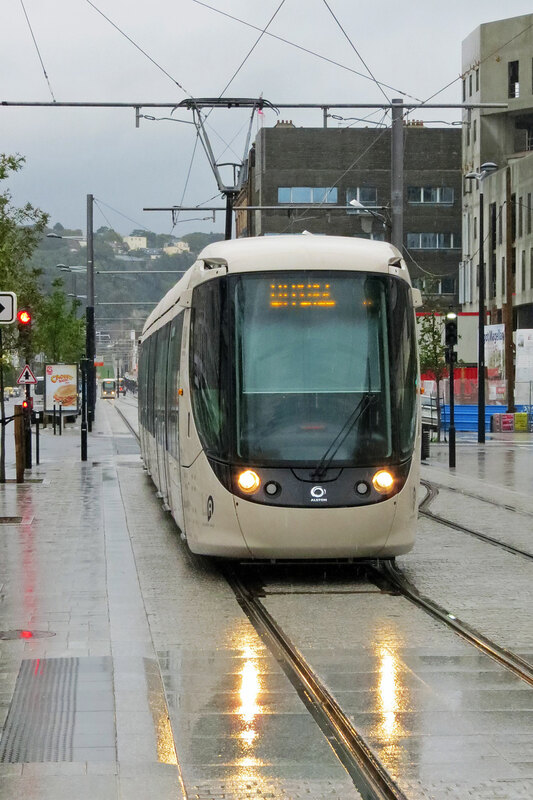 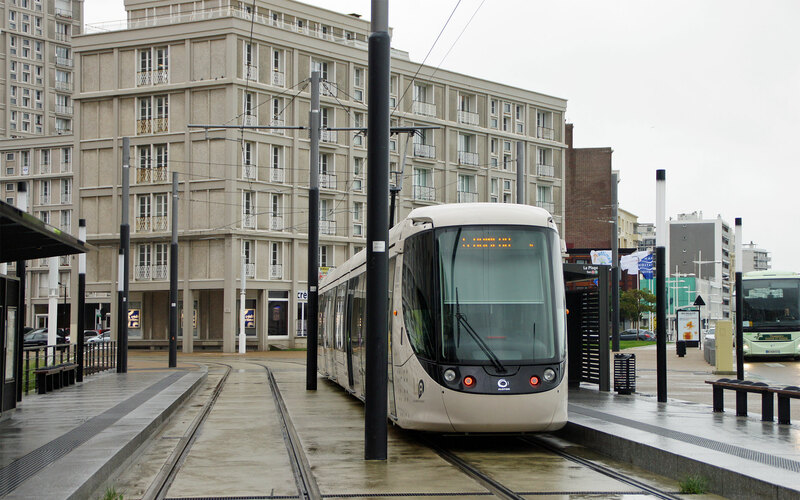 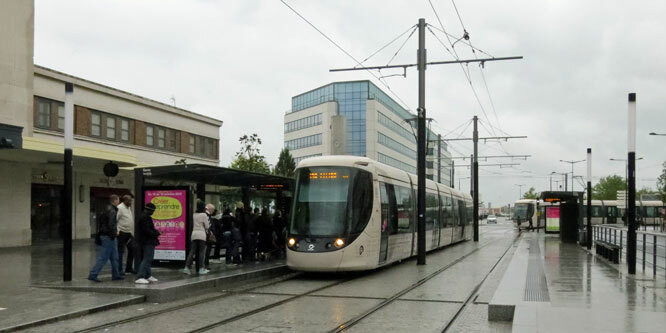 The new tramway at Le Havre opened on 12-12-2012 using Alstom Citadis 302 five-section vehicles. 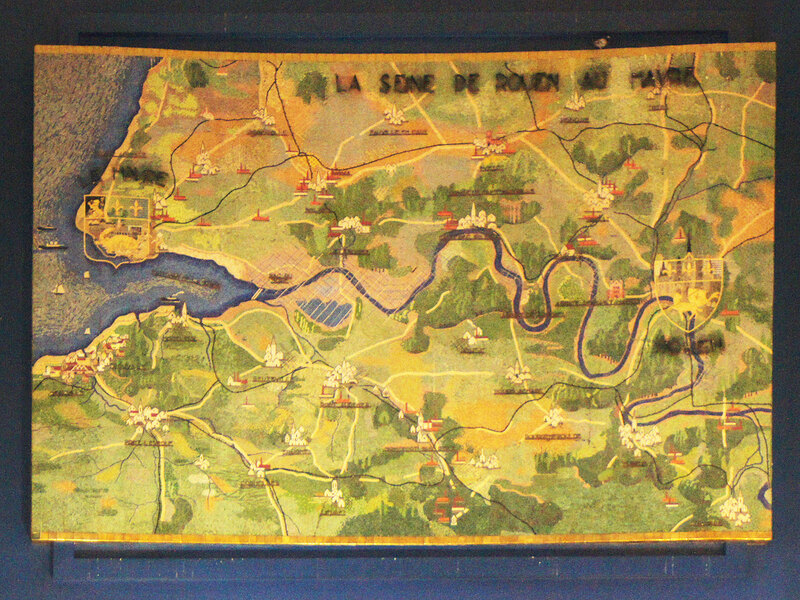 These are all named but I have not yet found a list of all names.